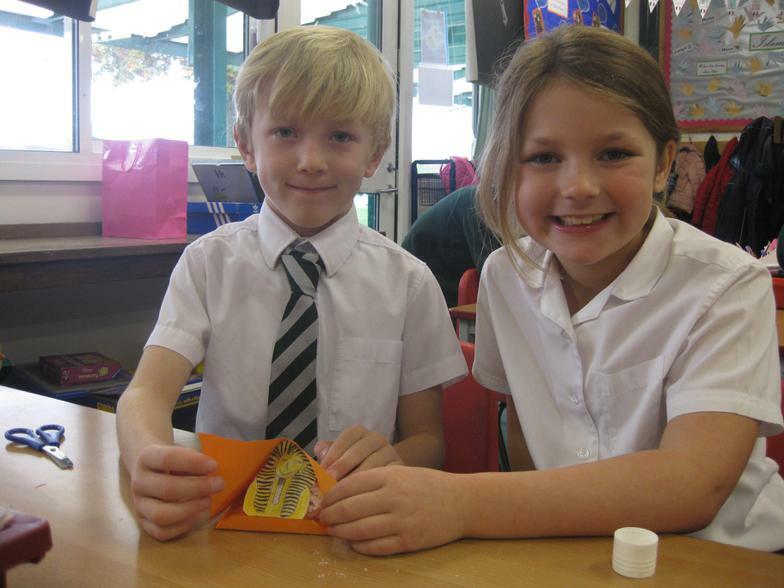 Here is this week's list. 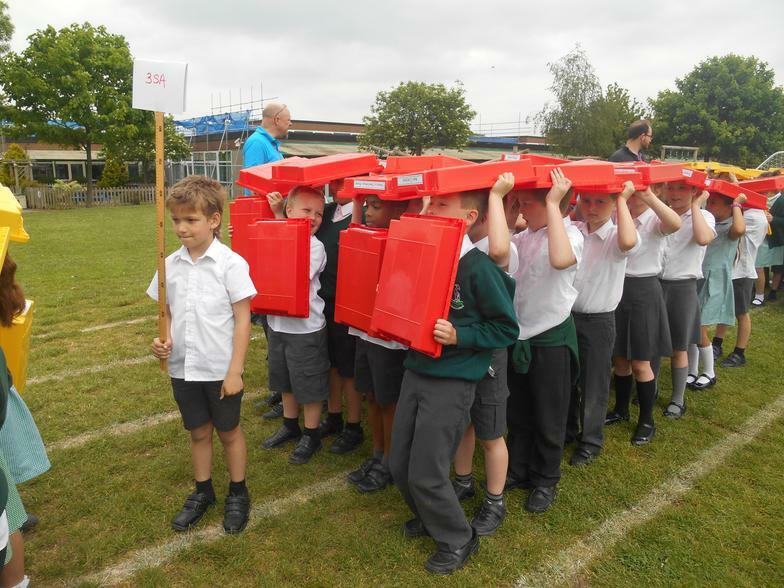 These will be tested on Monday 18th July. 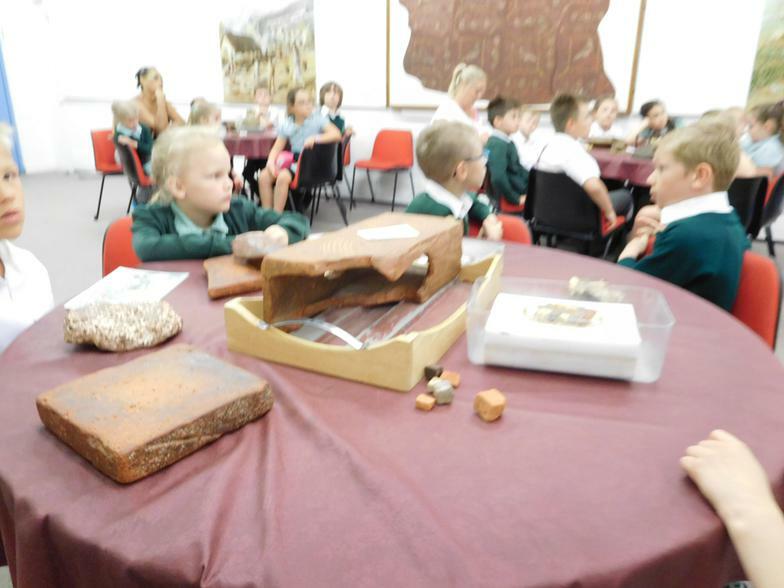 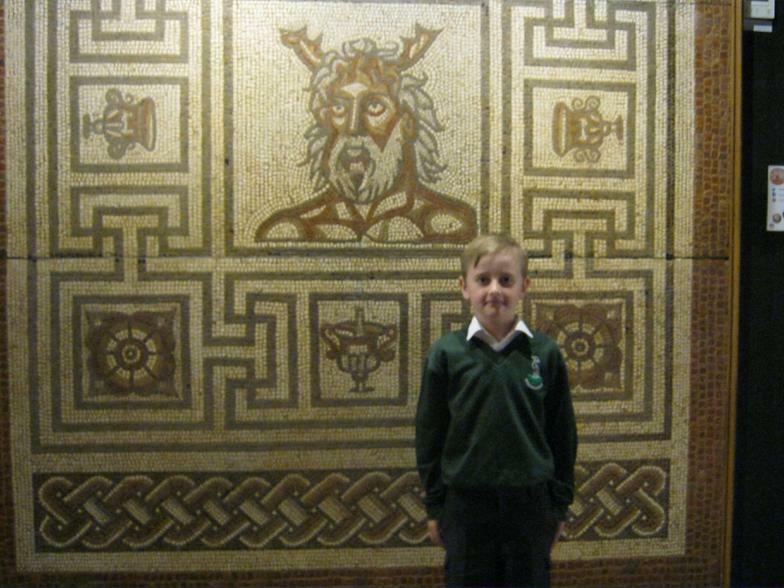 Y3 Roman Away Day. 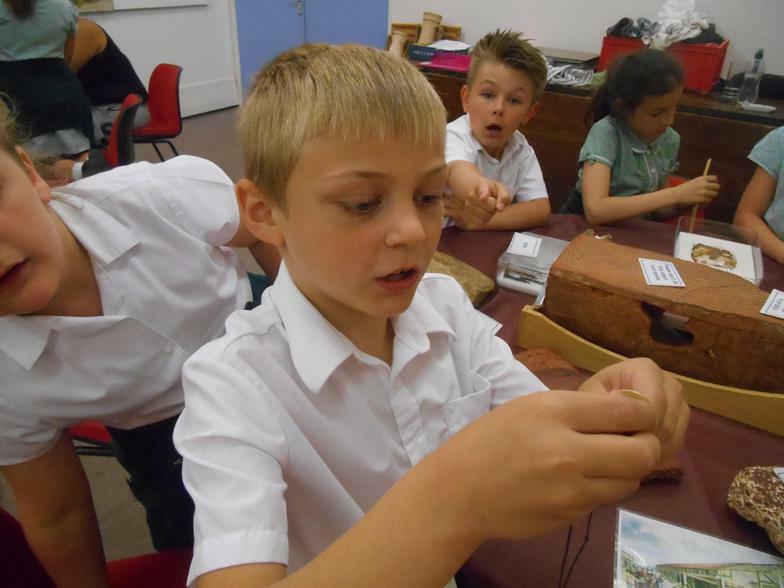 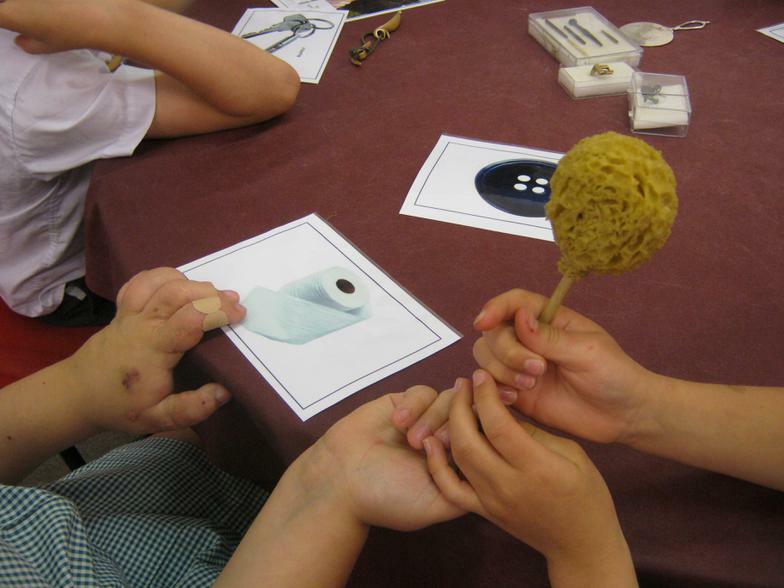 Jewellery making, Latin & weaving. 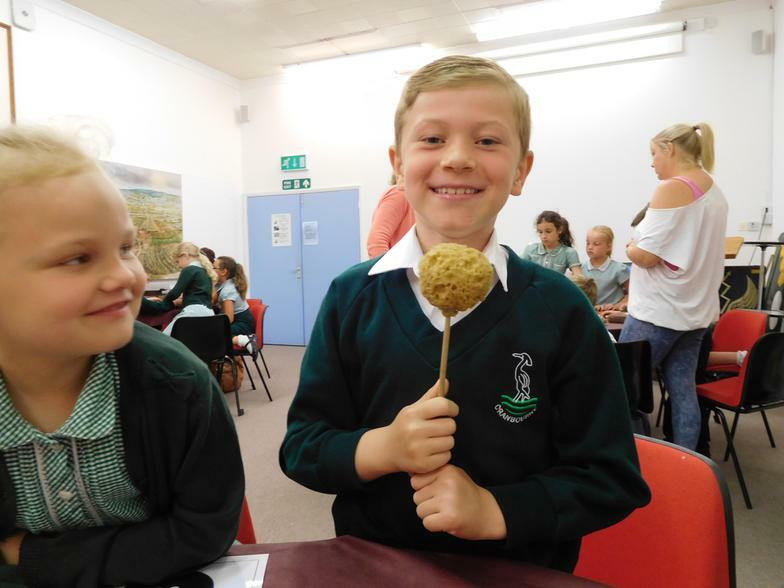 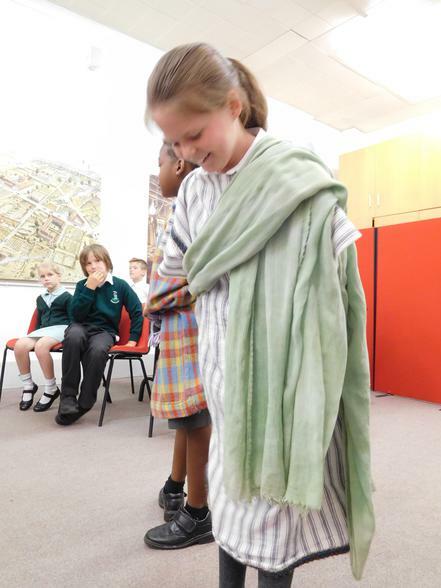 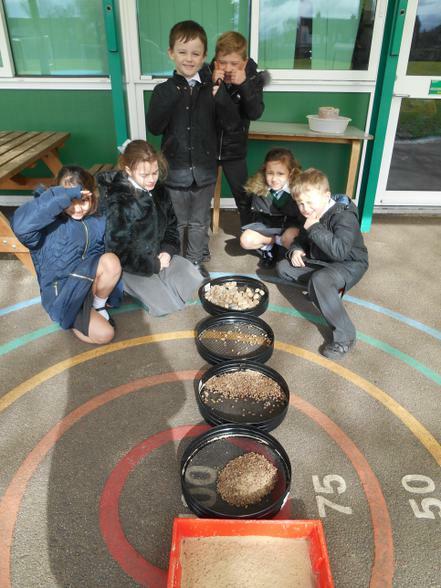 And don't forget the Roman 'Feast'! 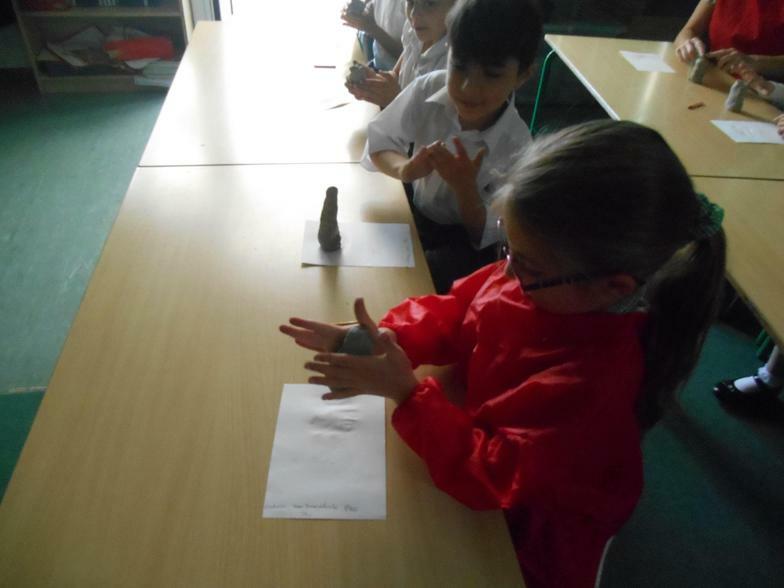 We've voted in our own European Referendum. 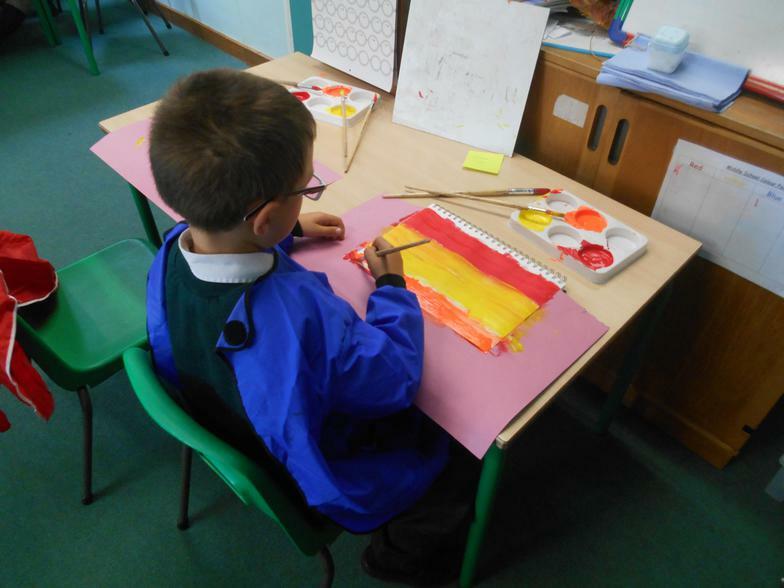 We wonder if our results will match the rest of the country! 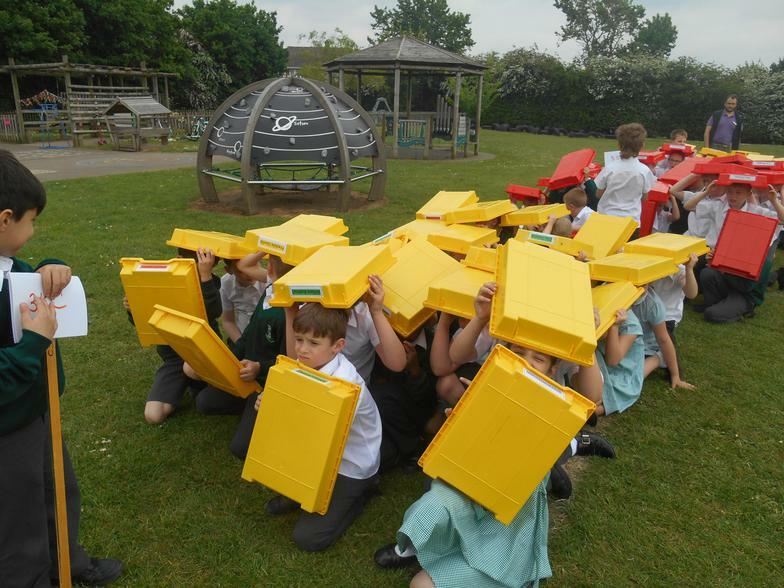 A busy week! 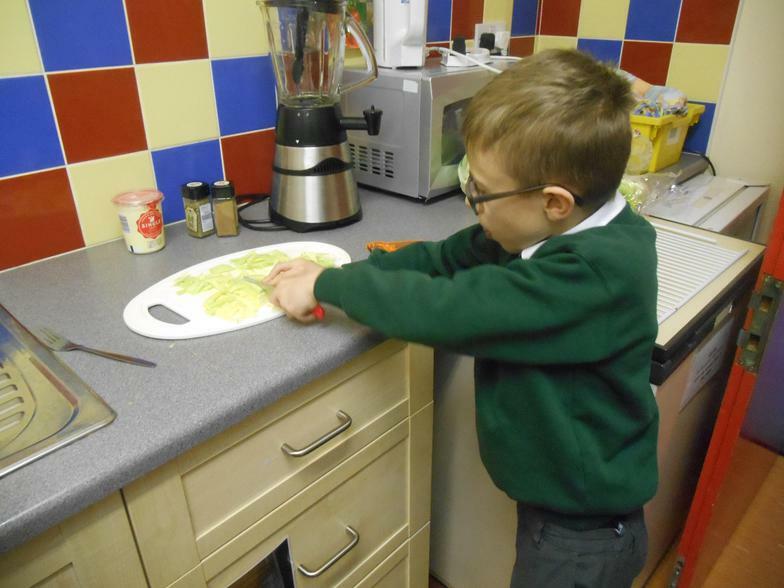 Fruit Kebabs & a Shadow Puppet Show! 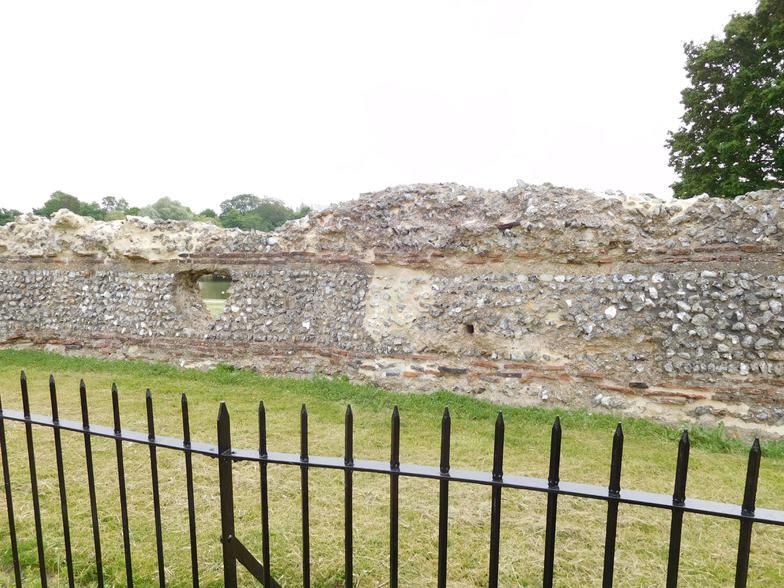 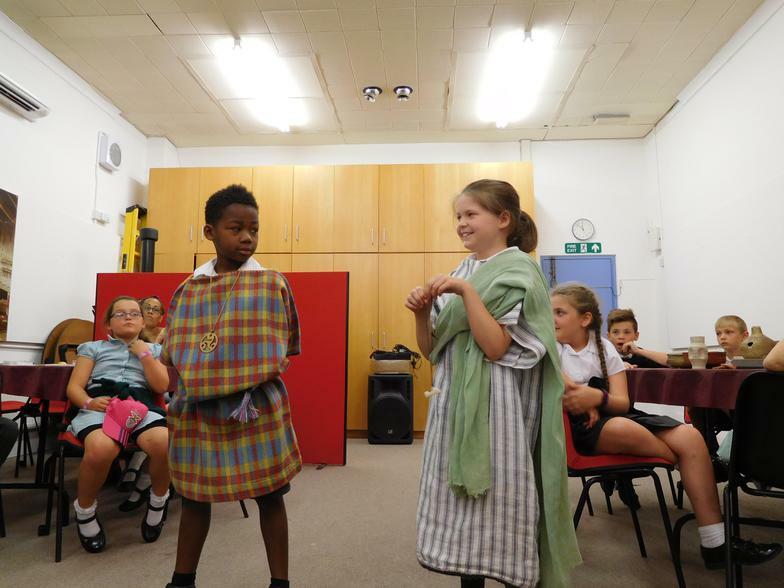 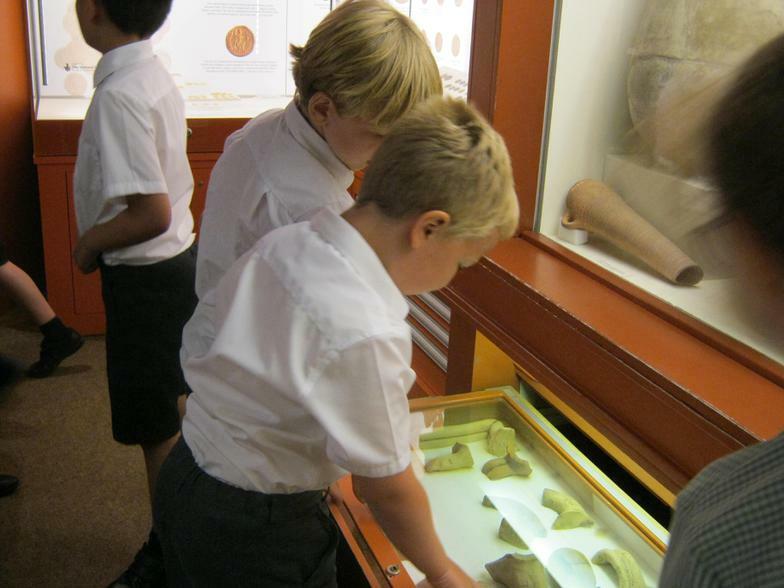 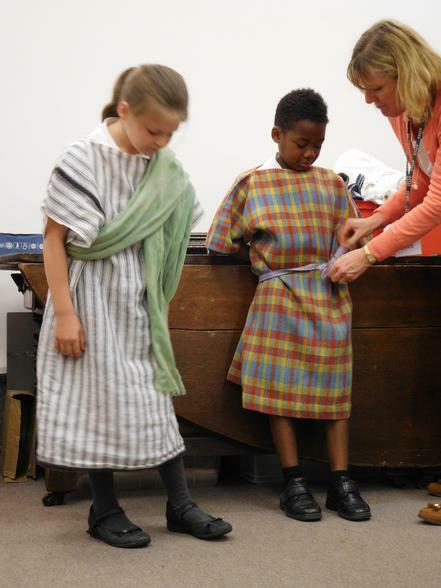 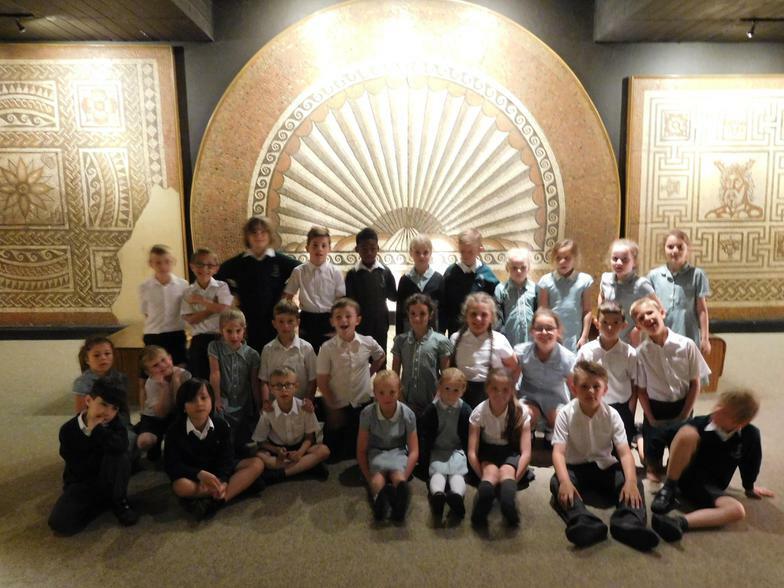 A wonderful day in St Albans - we had an amazing day and the children represented Cranbourne remarkably well! 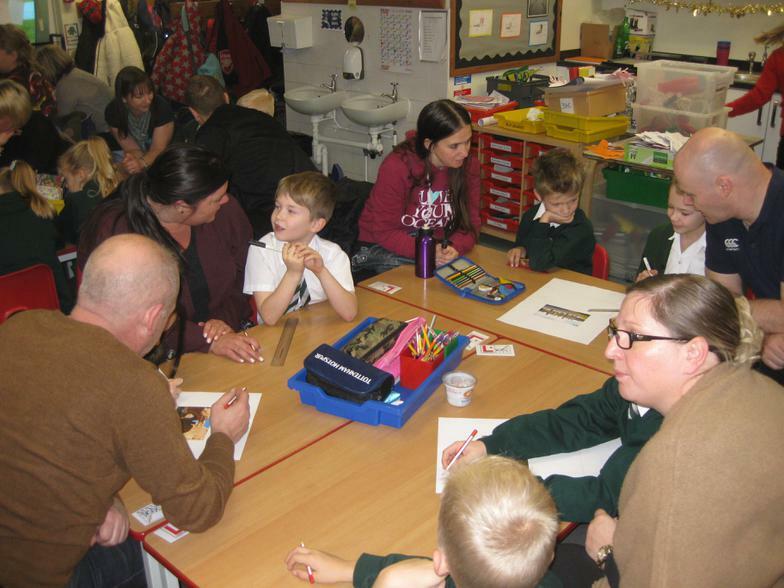 A special thanks to all of the parent helpers. 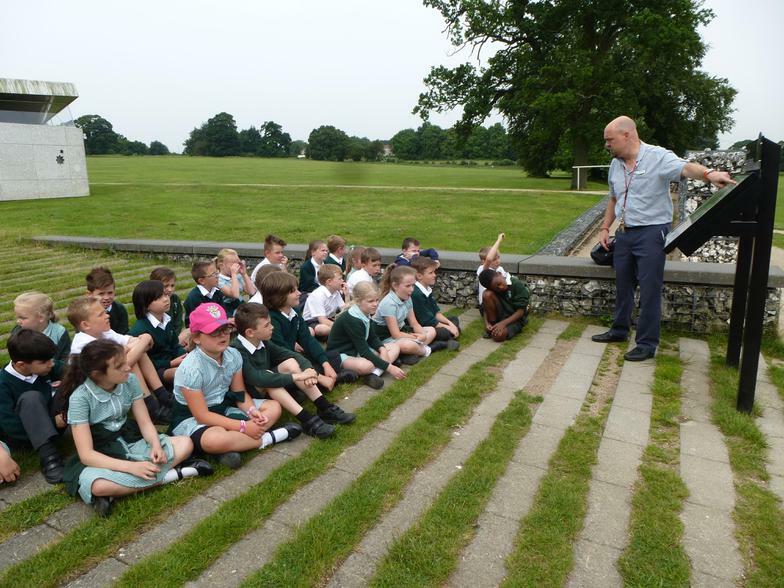 Here is a copy of our trip letter for the Y3 trip to Veralamium on 10th June. 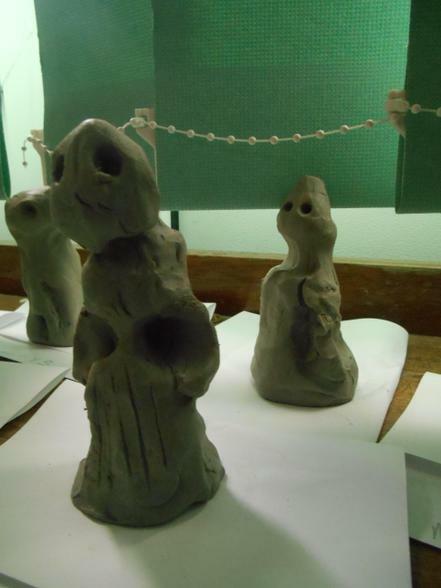 Letters need to be turned in by Friday, 27th. 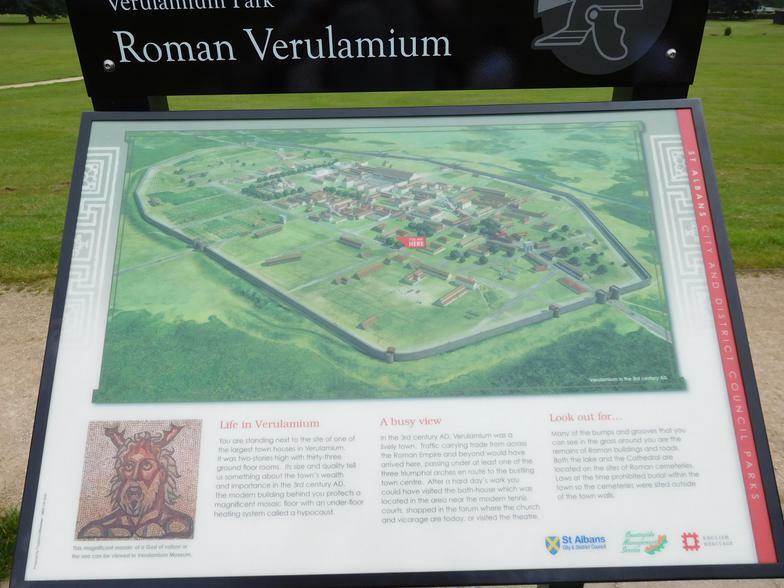 Roman Numeral Game Here is a good game to help learn your Roman Numerals! 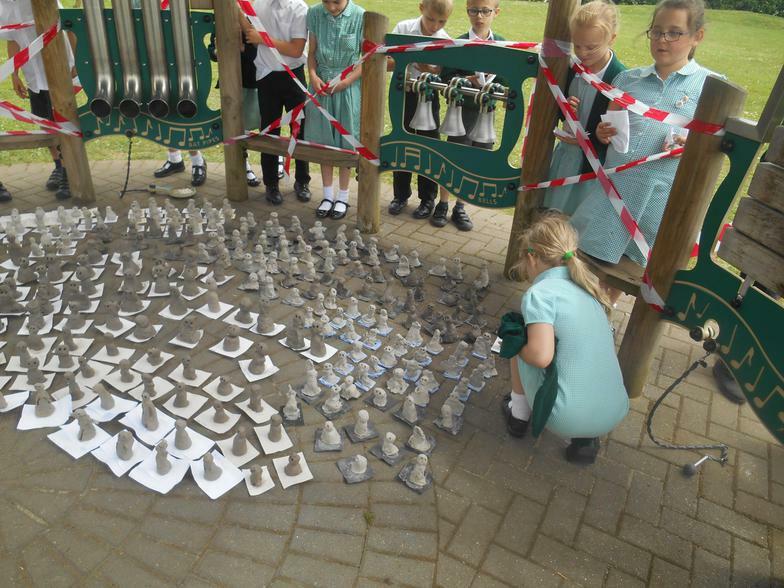 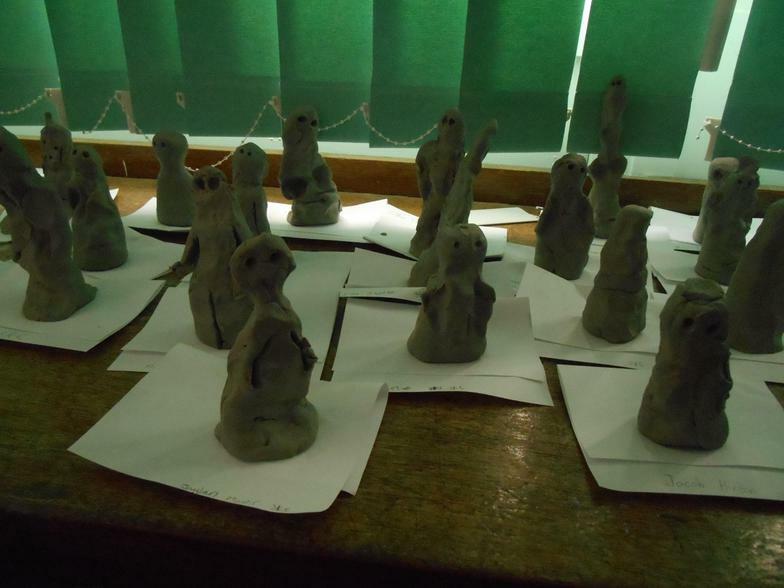 Year 3 have been adding our clay figures to the school collection in the Music Hut! 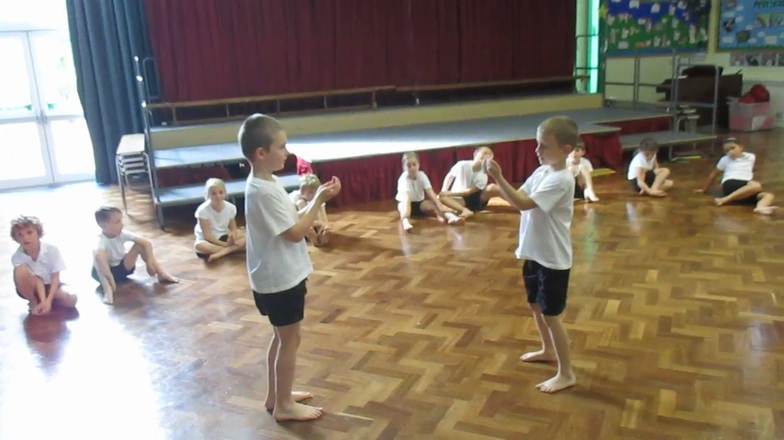 Go and have a look! 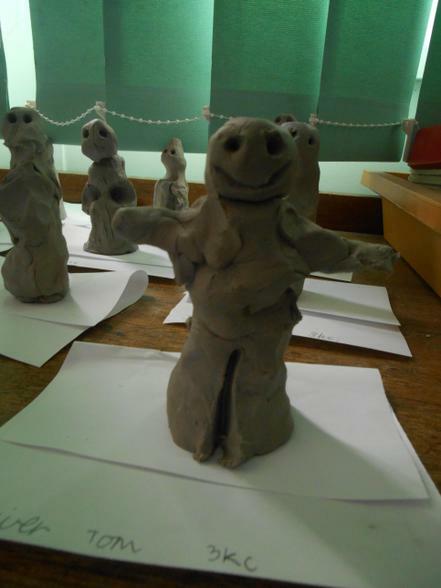 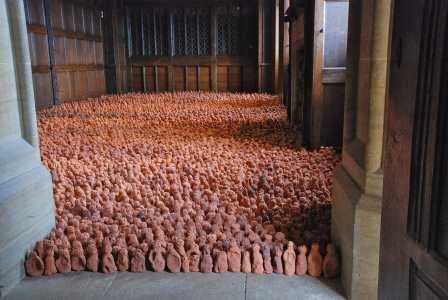 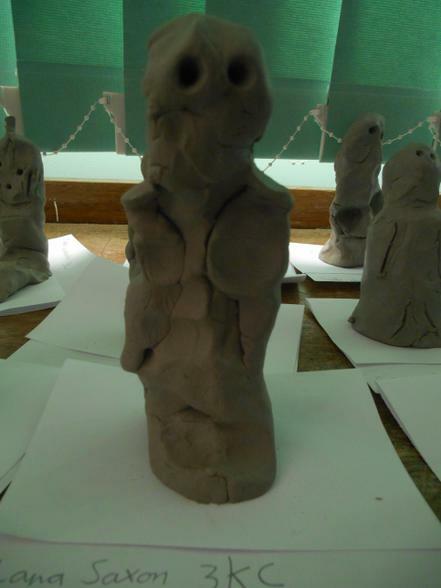 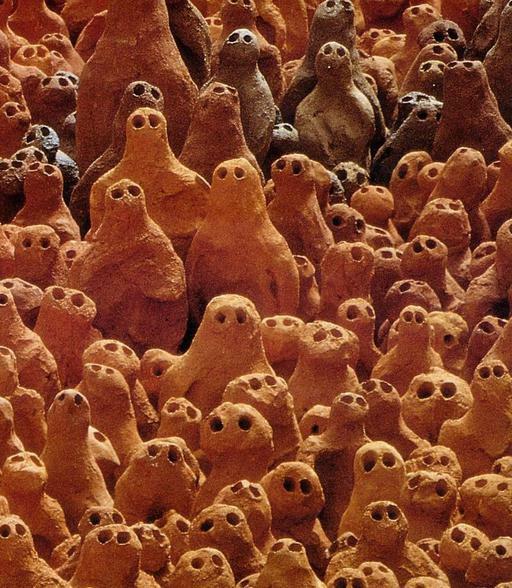 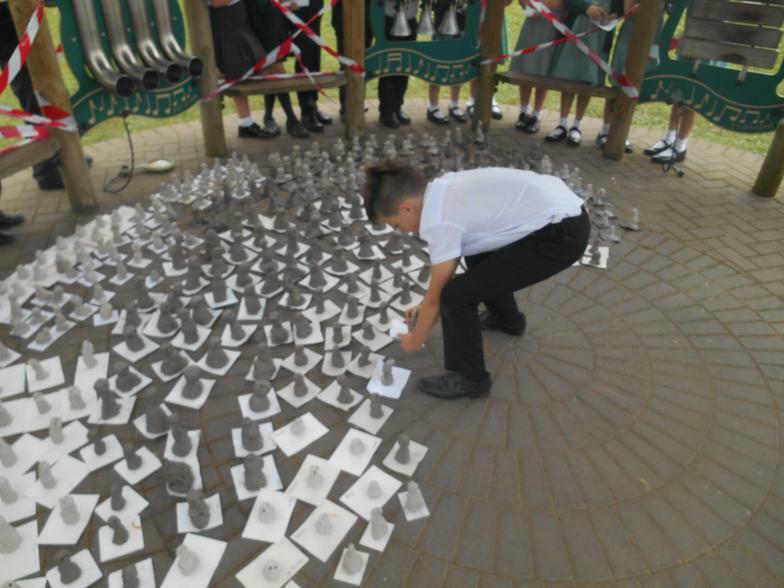 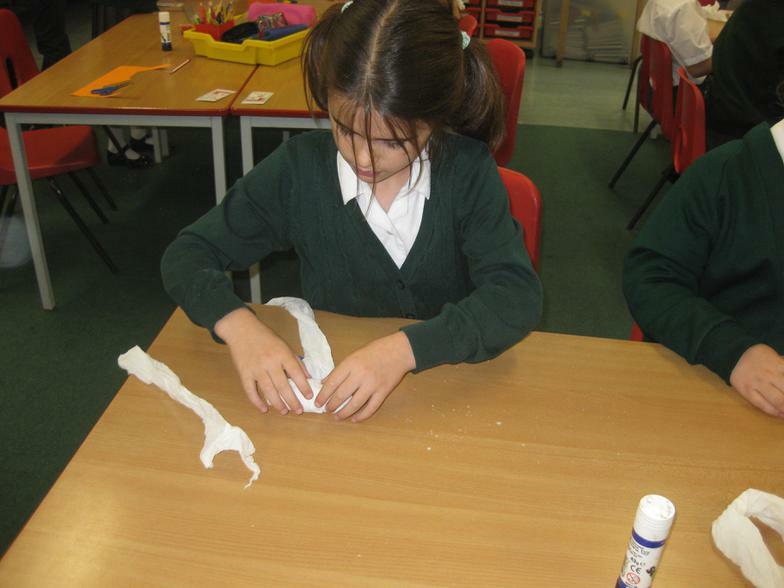 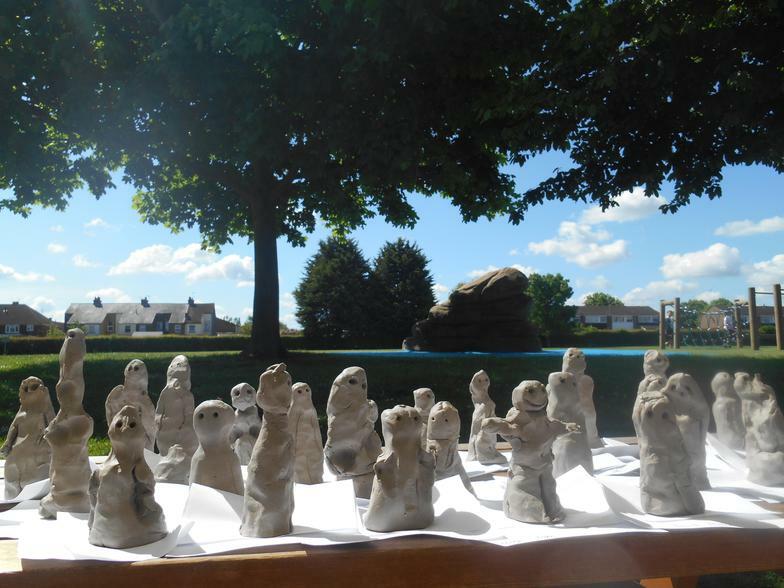 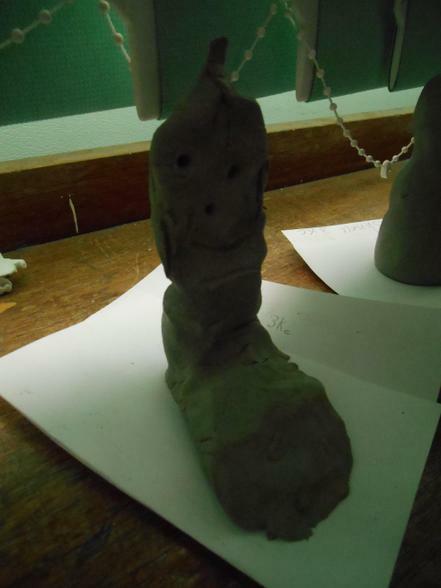 We used clay to make small figures in the style of work by Antony Gormley for Arts Week! 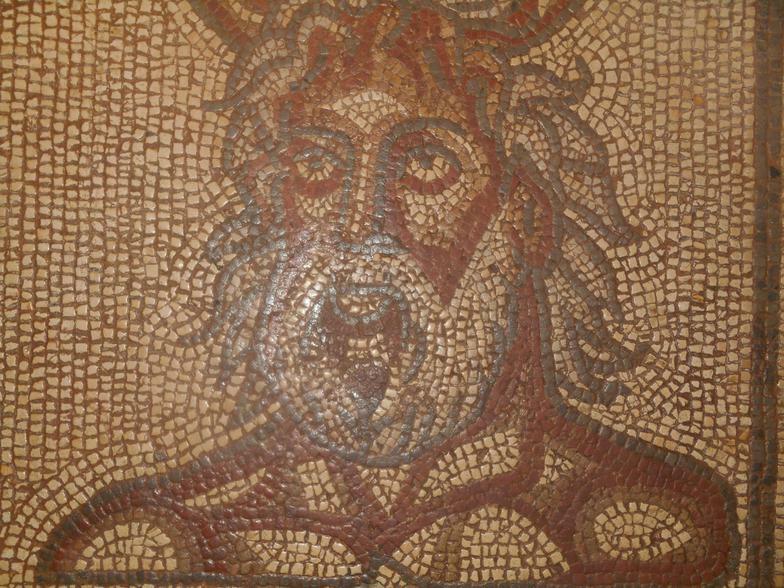 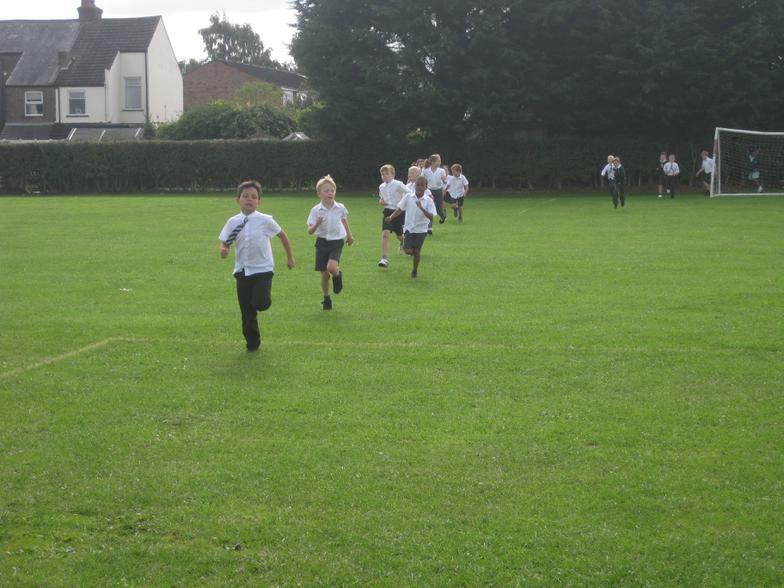 Roman Run! 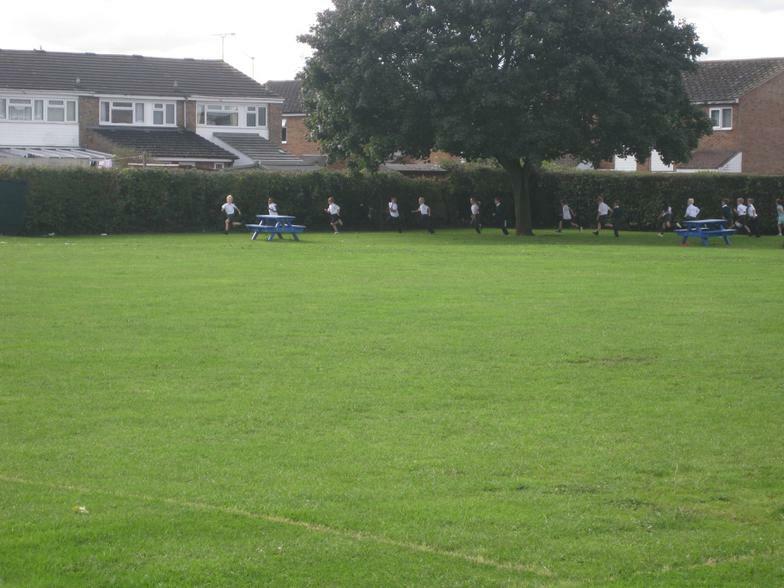 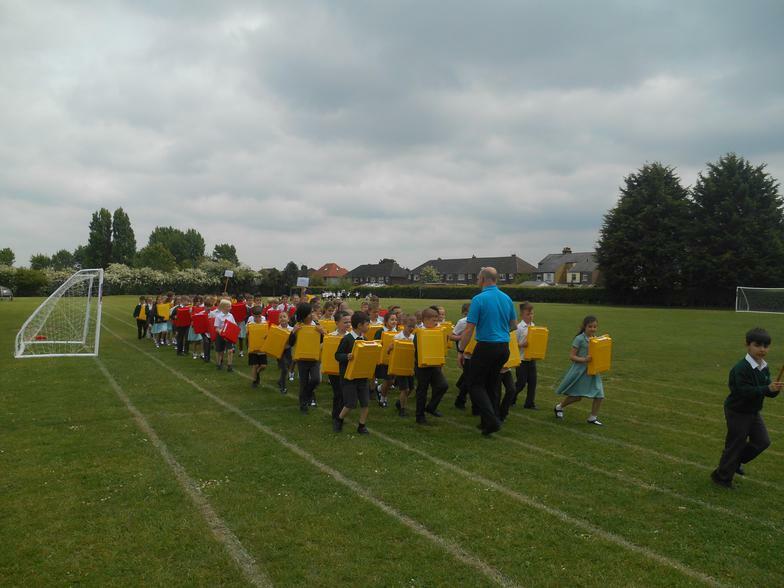 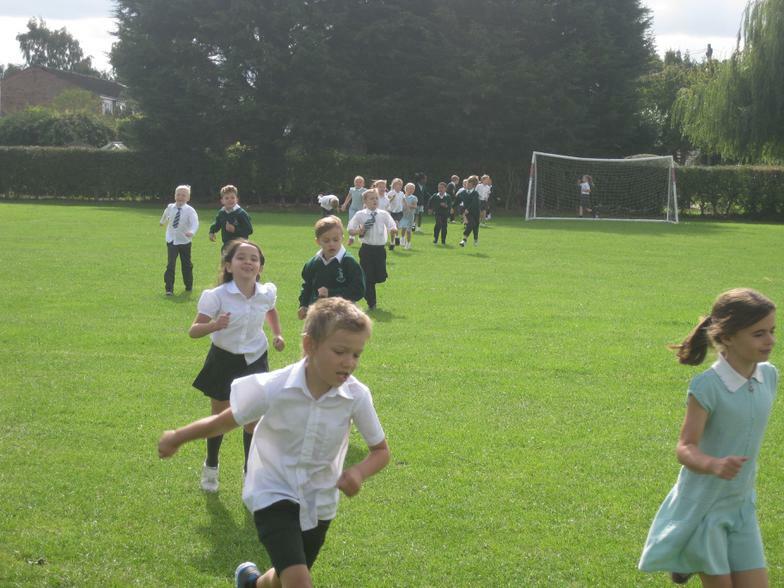 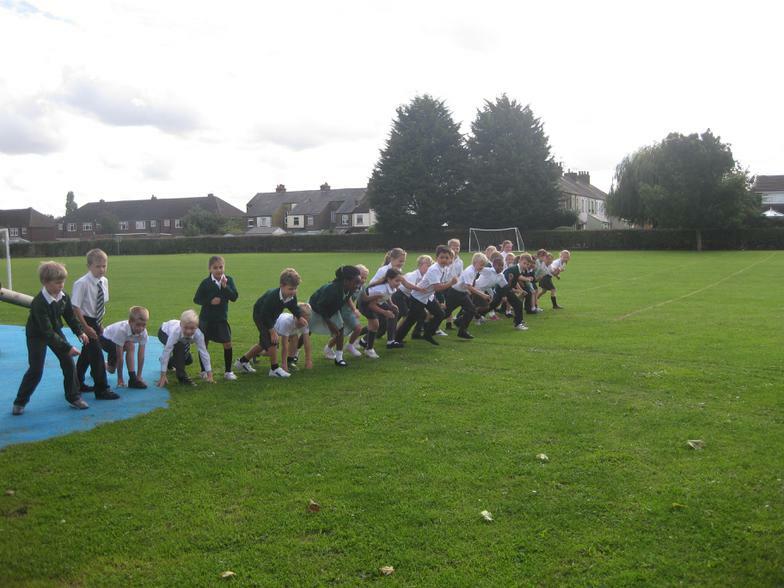 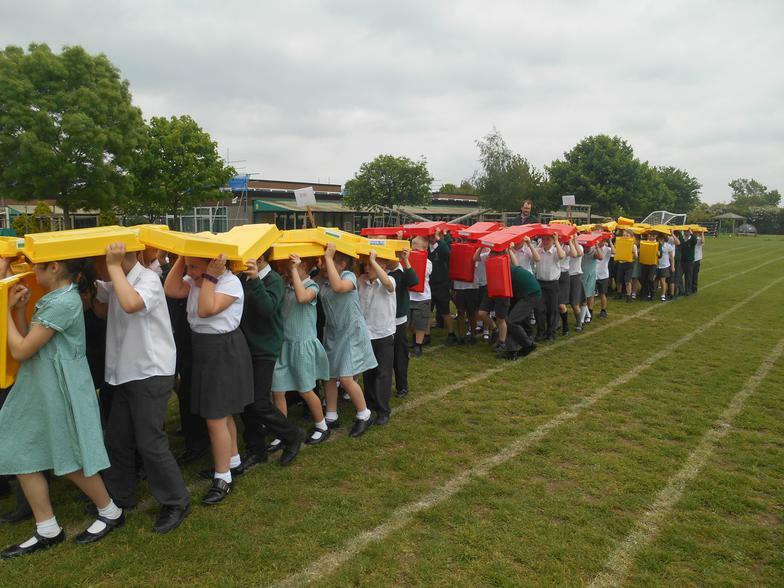 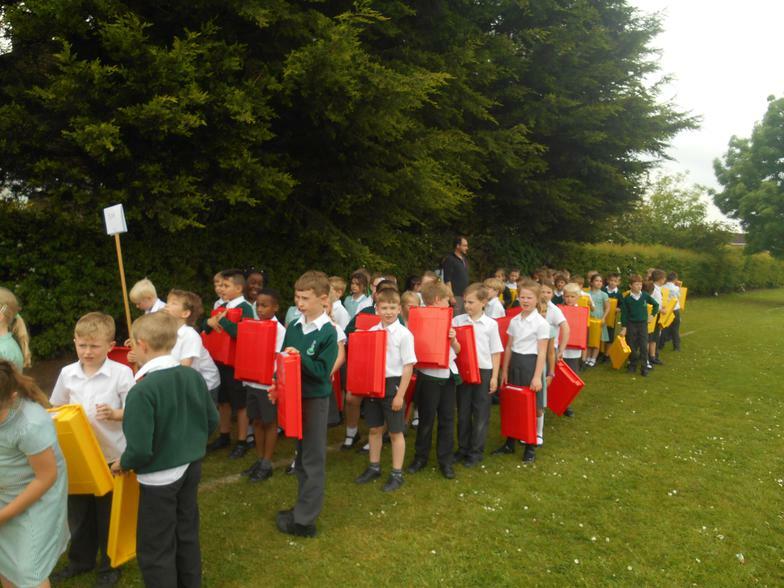 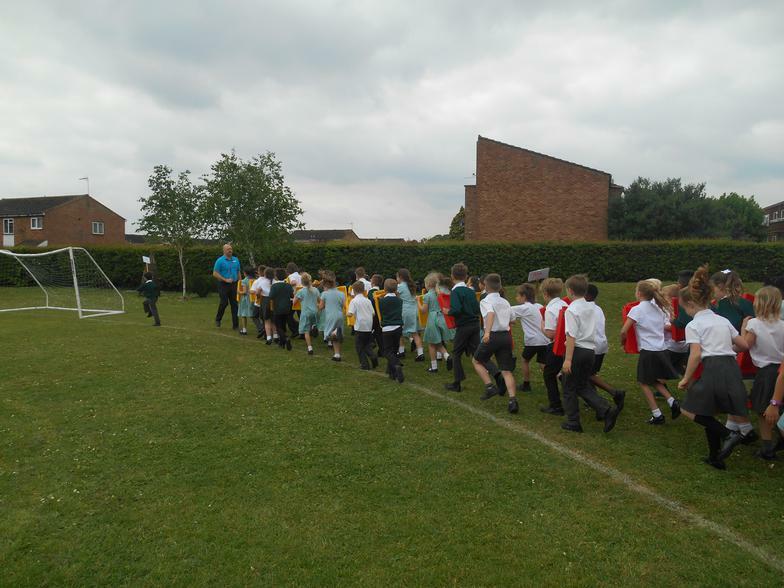 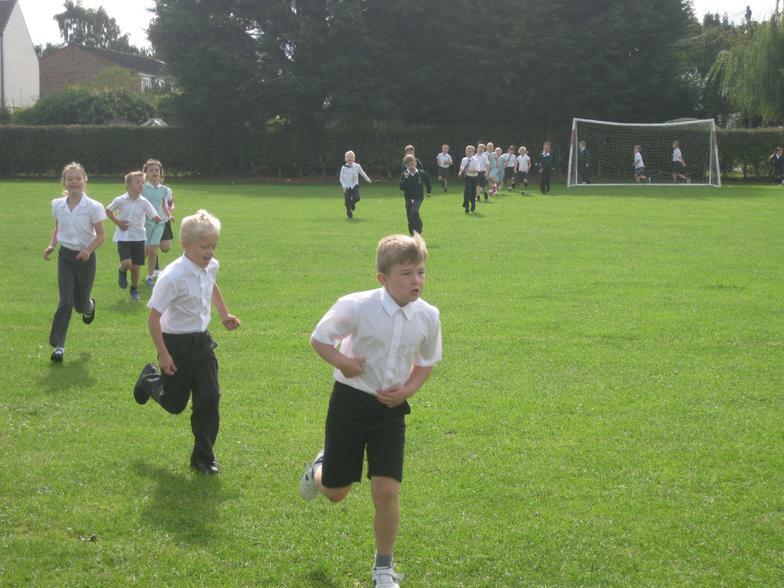 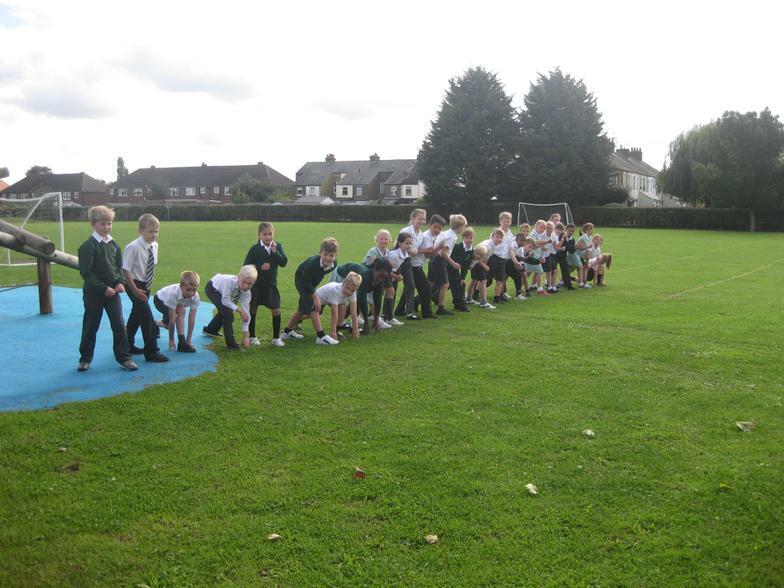 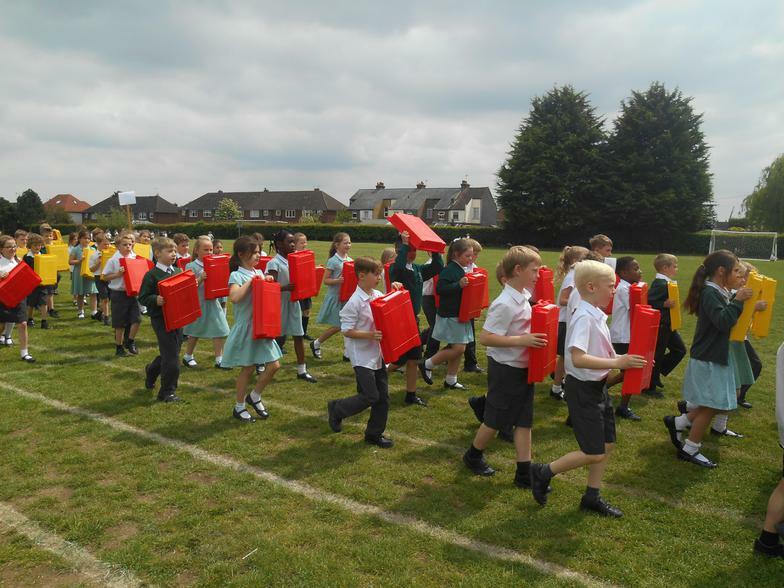 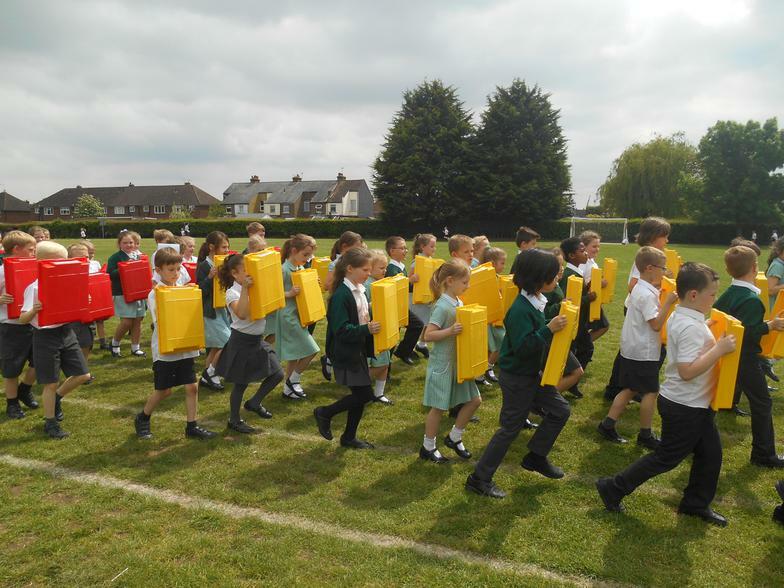 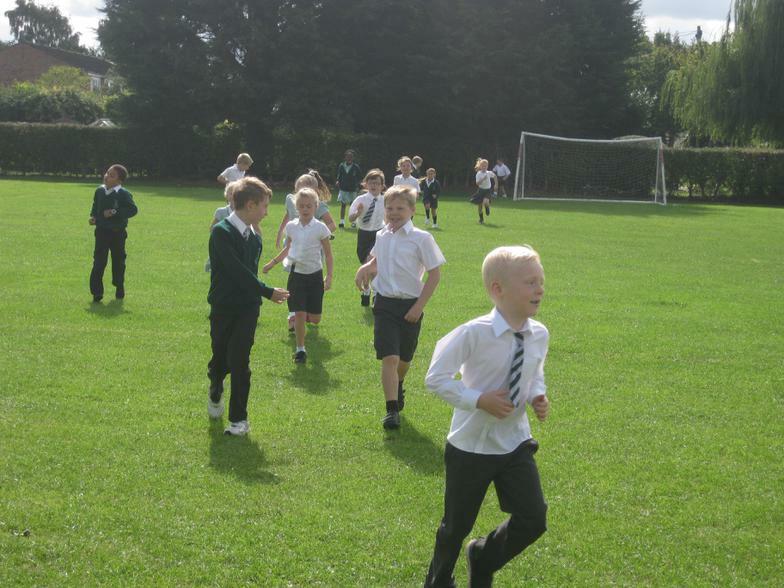 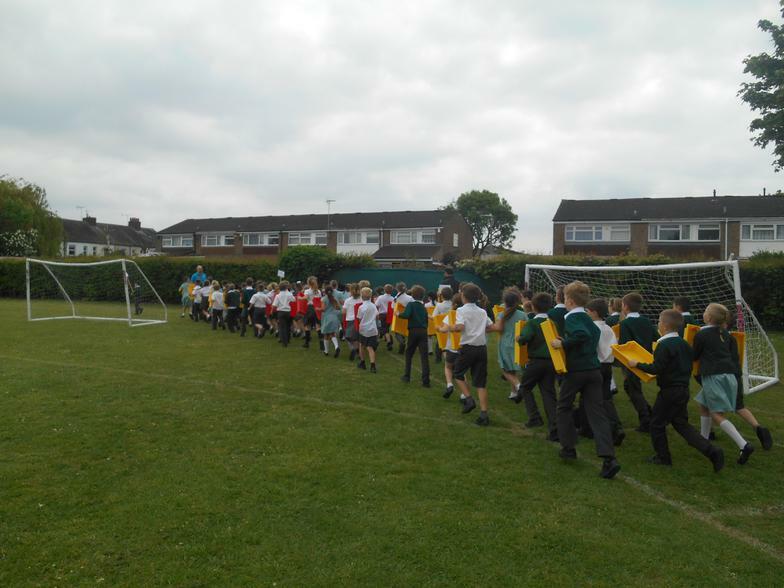 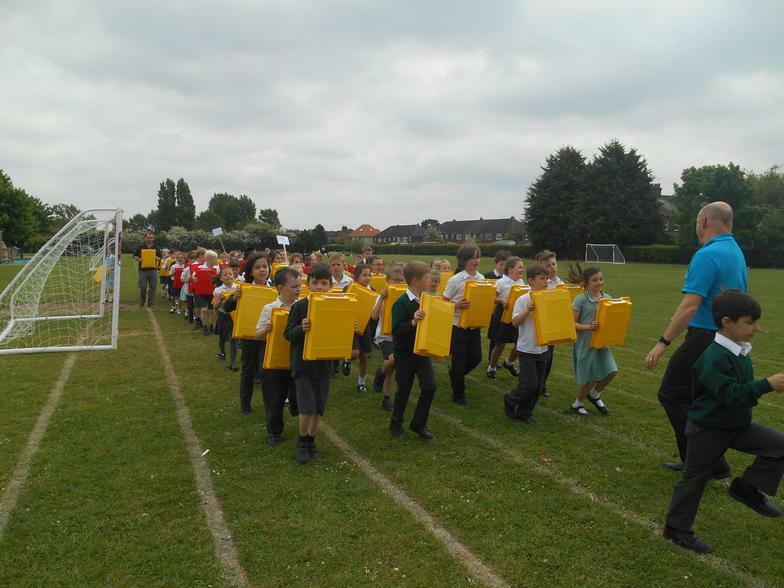 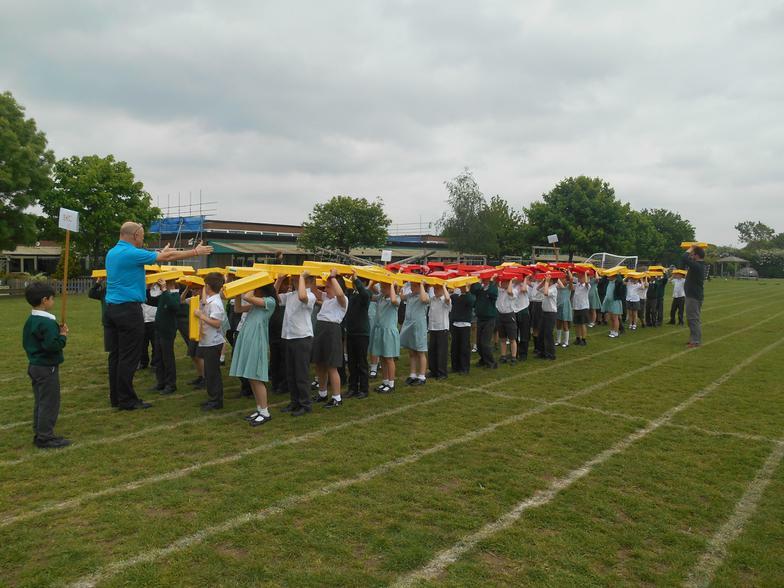 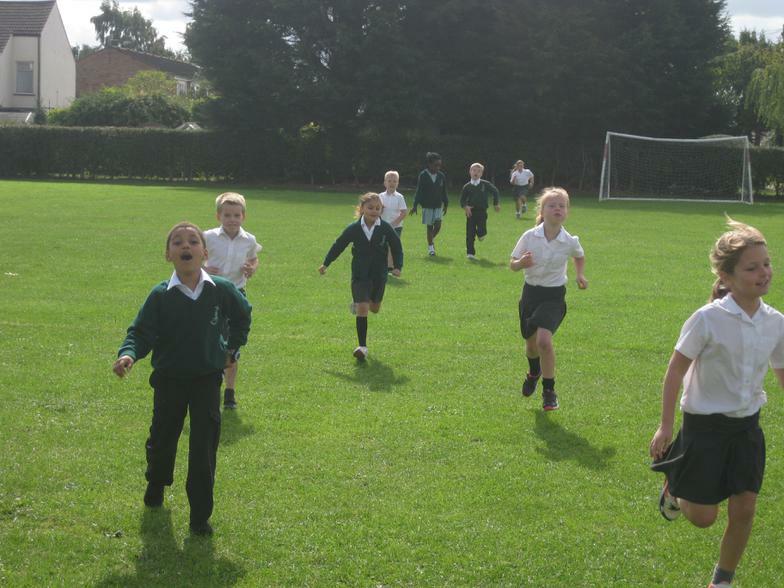 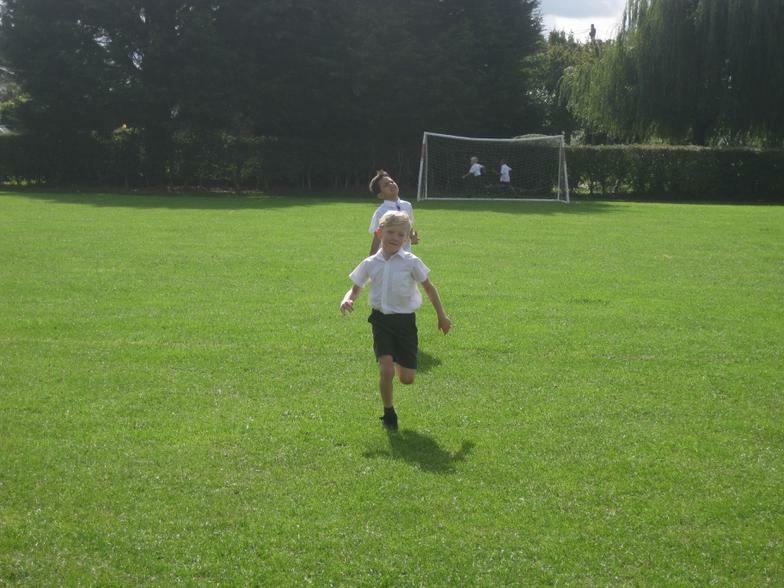 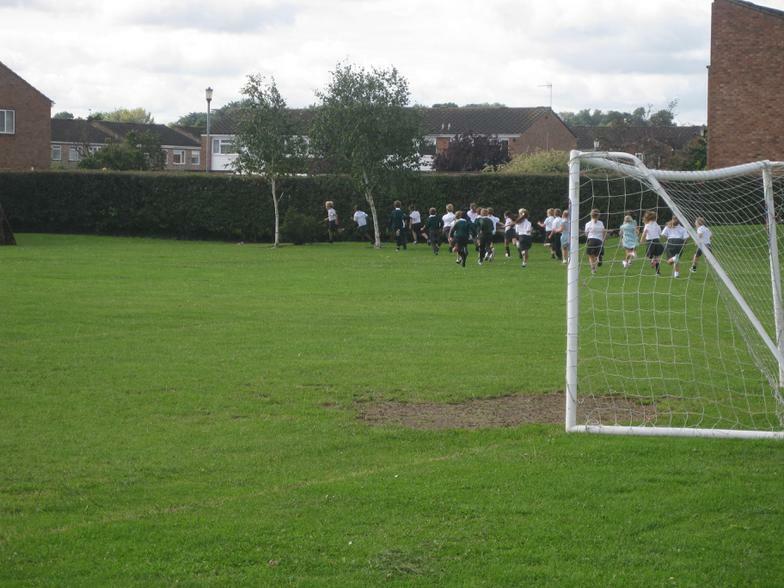 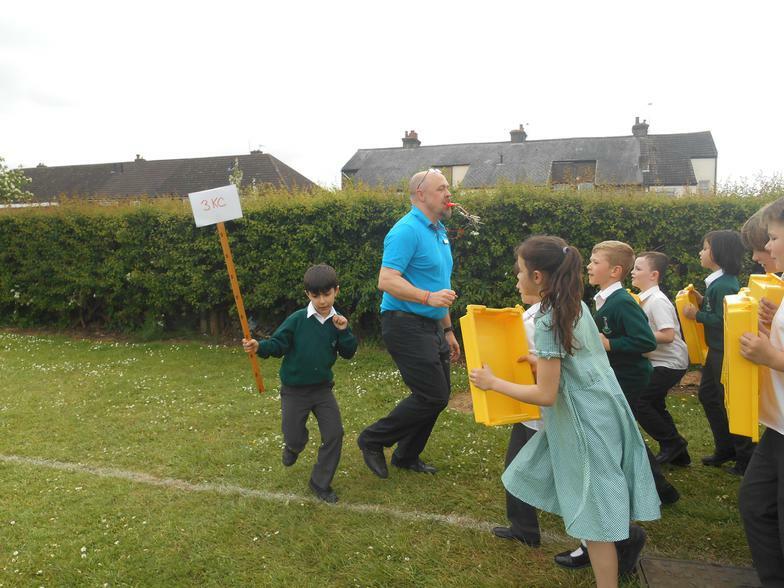 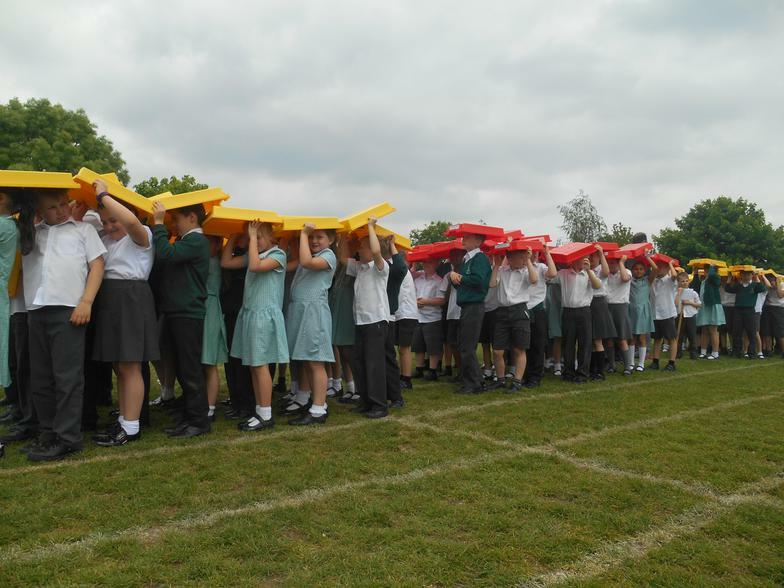 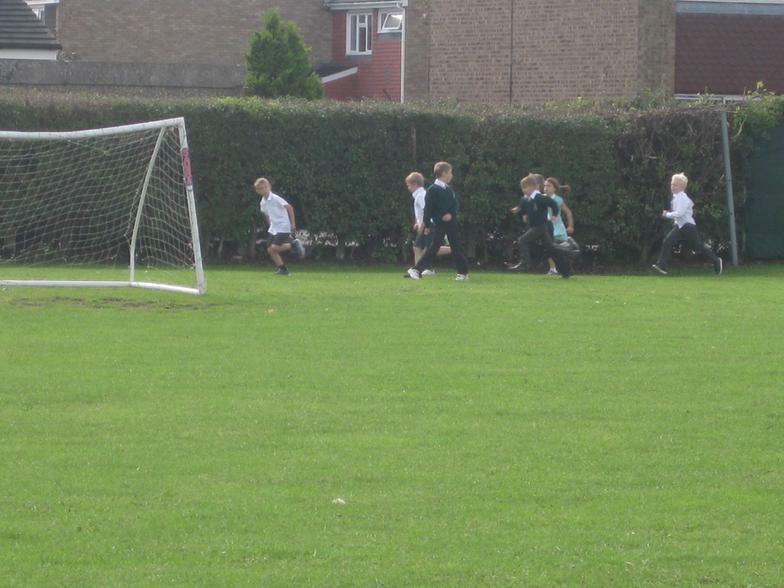 Today, we completed our Sponsored Run, all working together to make a Roman Legion! 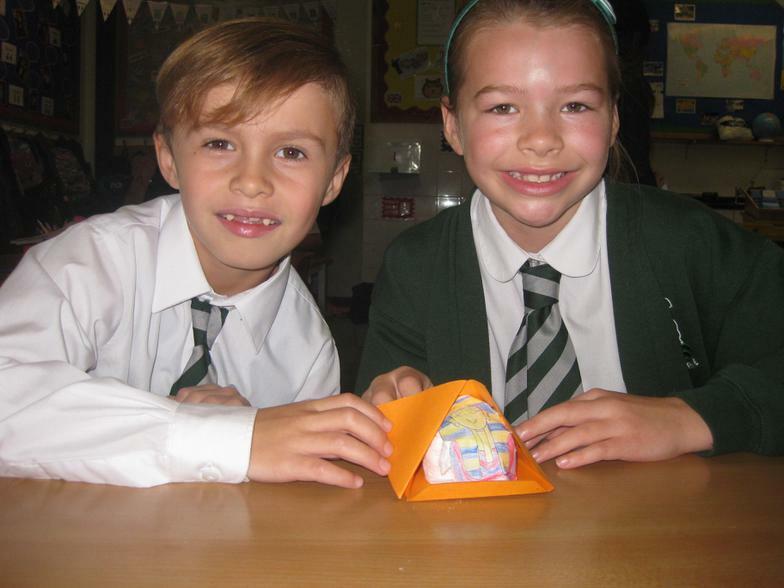 We even made 'The Tortoise'. 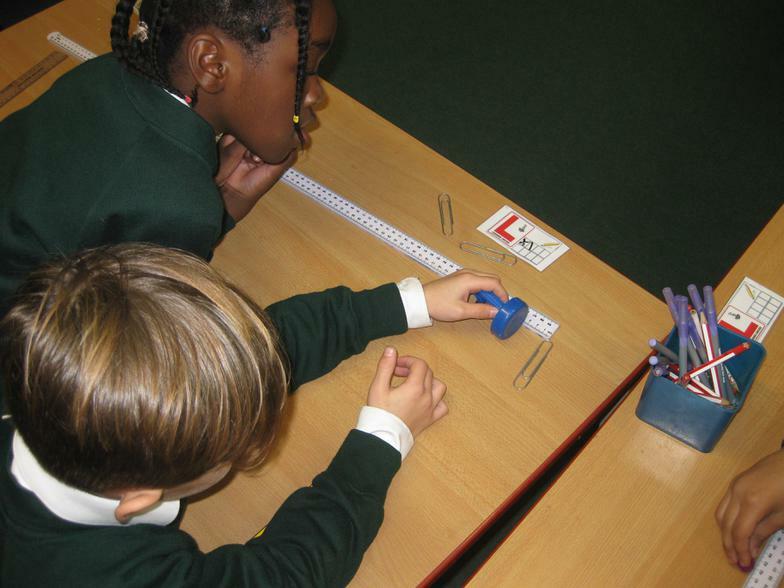 Number Fact Games! 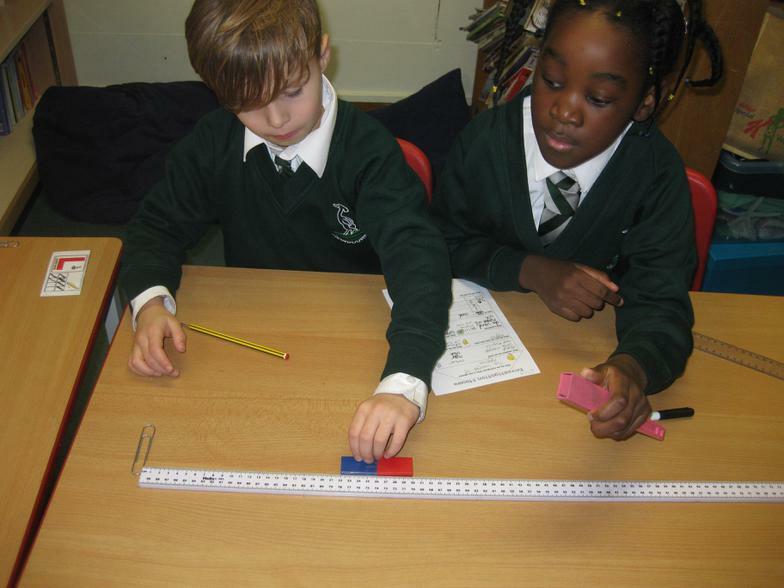 Do you need to improve your mental recall for addition, subtraction, multiplication or division? 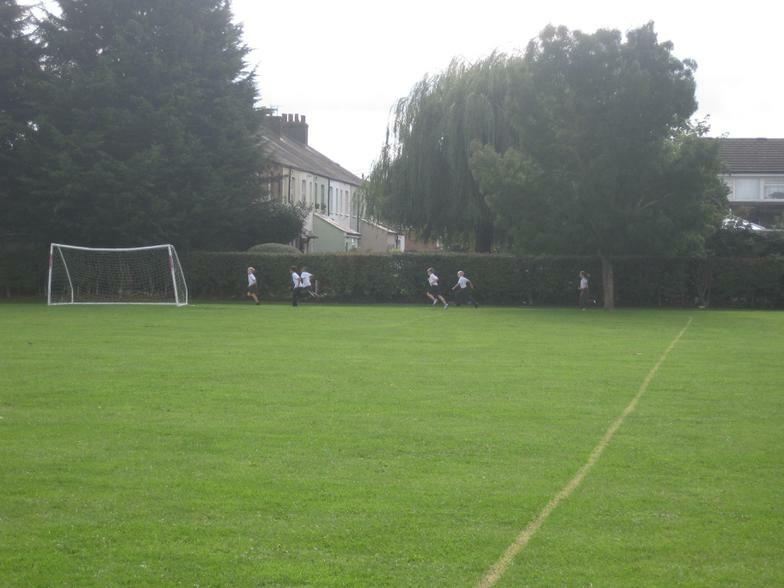 Here is the site for you! 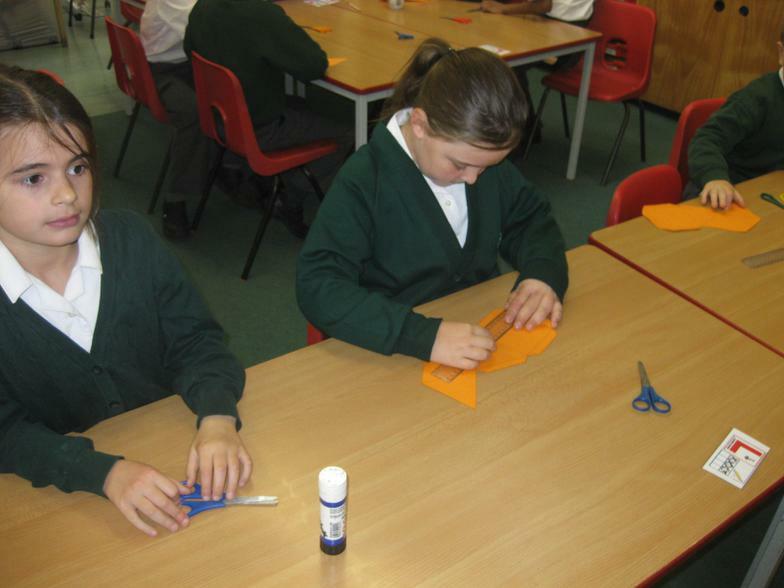 Here is another quick Multiplication Tables activity. 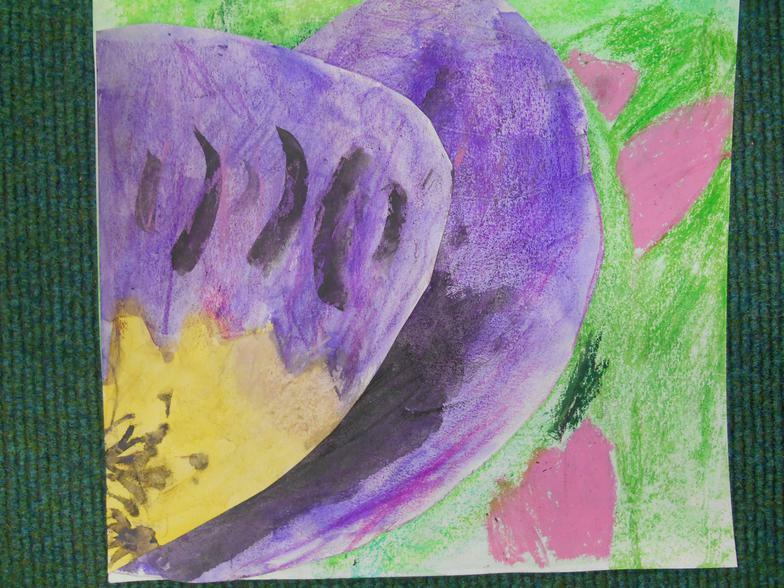 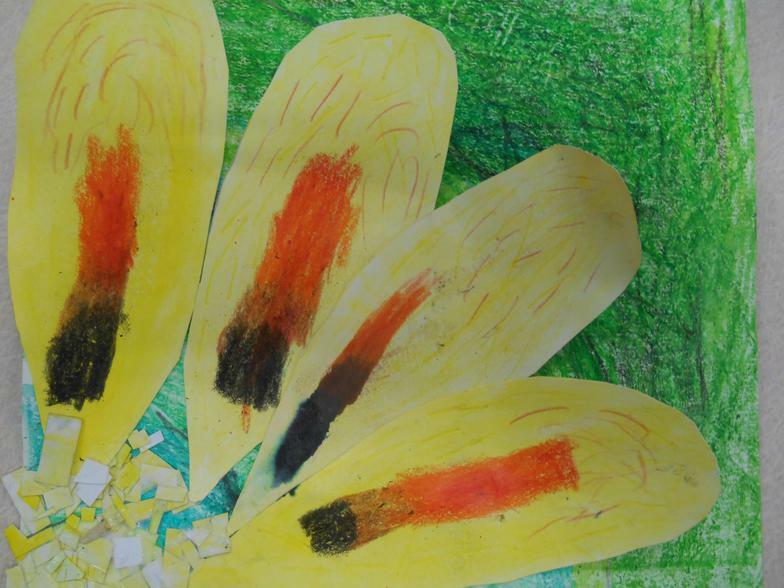 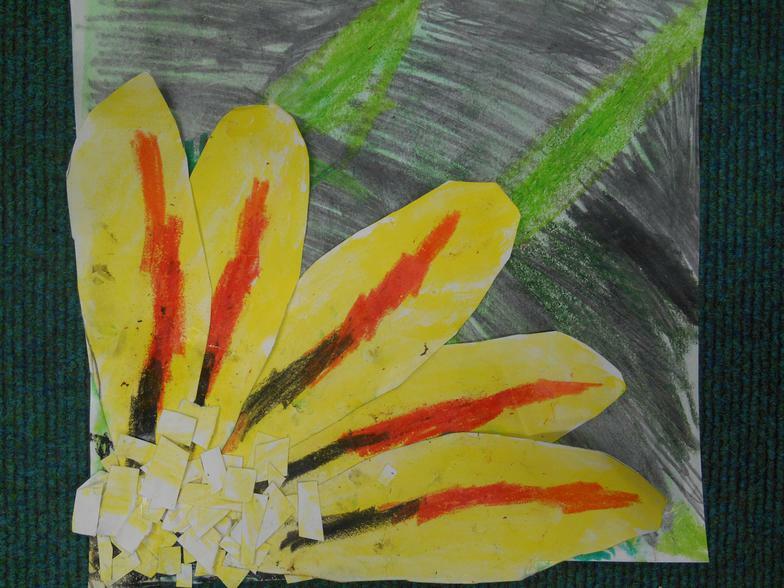 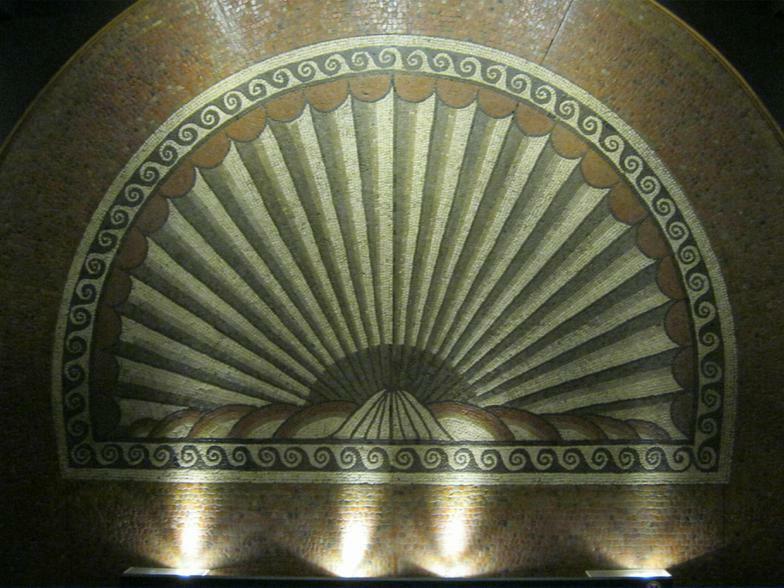 Our art is now on display in Hoddesdon Library - go and have a look! 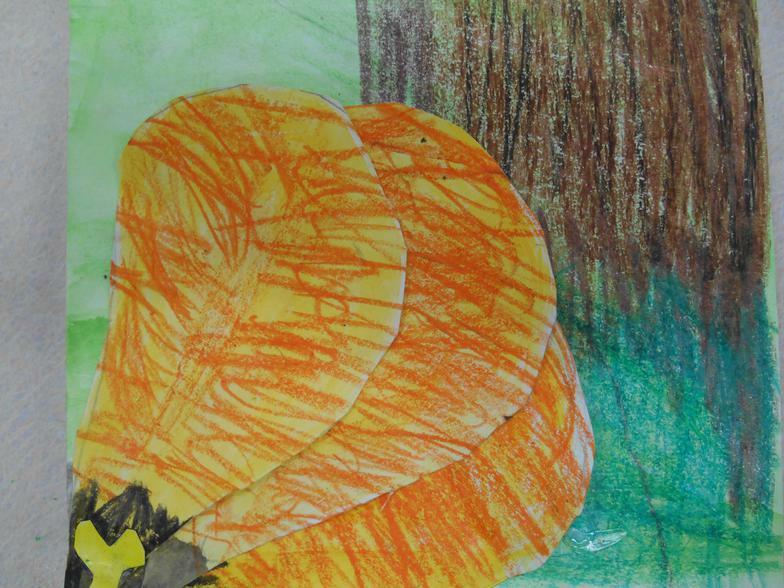 We hope you enjoy the Easter Weekend! 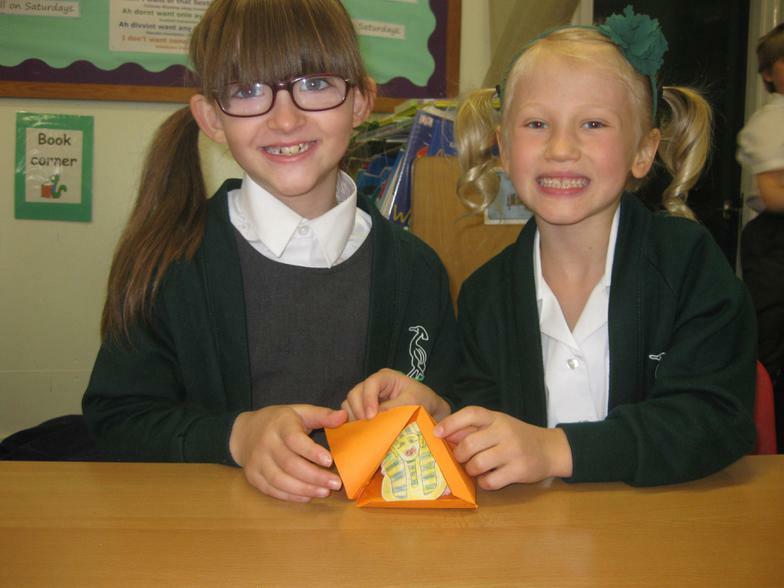 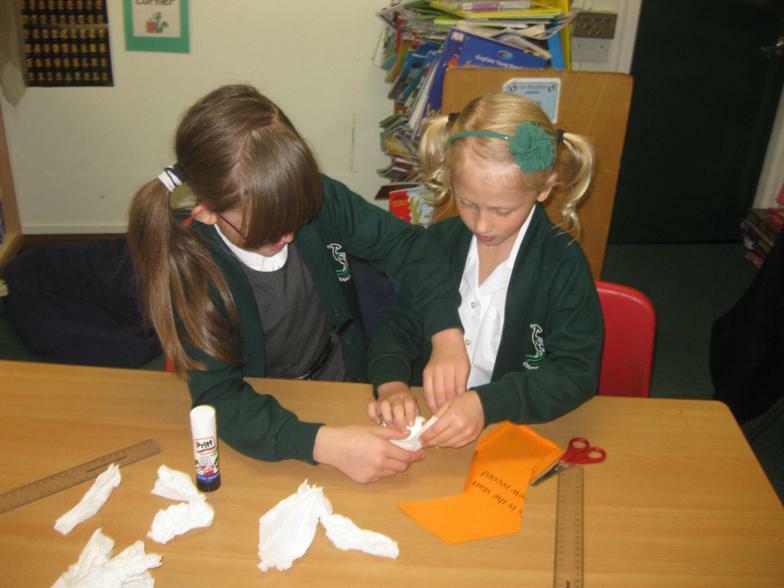 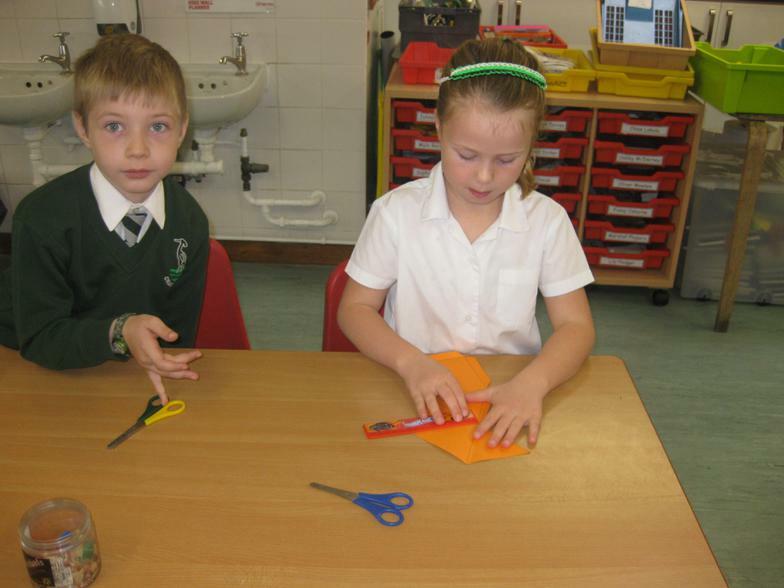 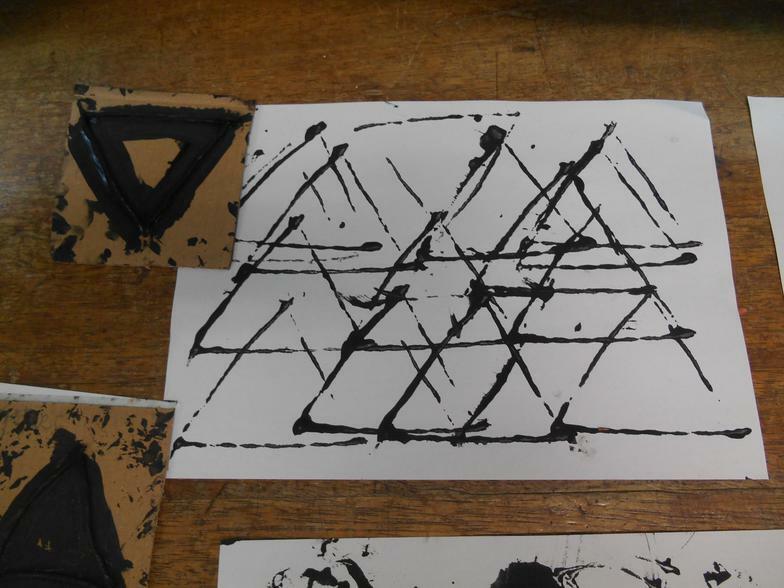 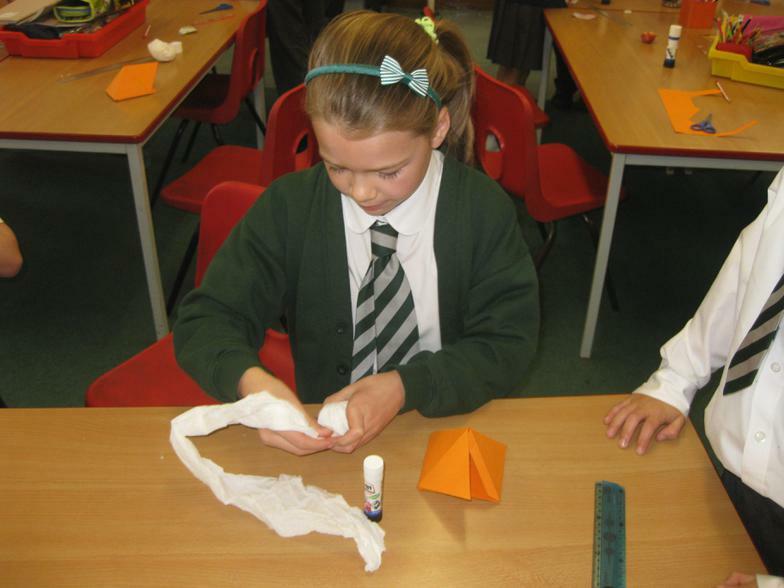 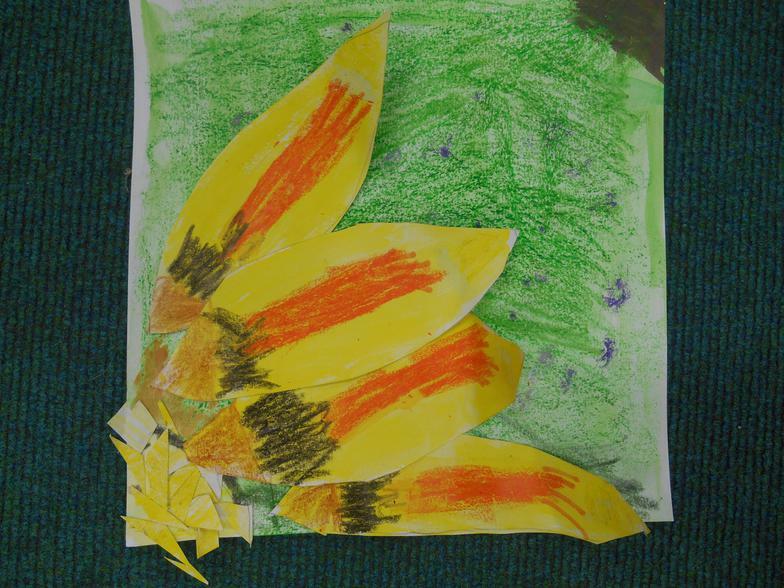 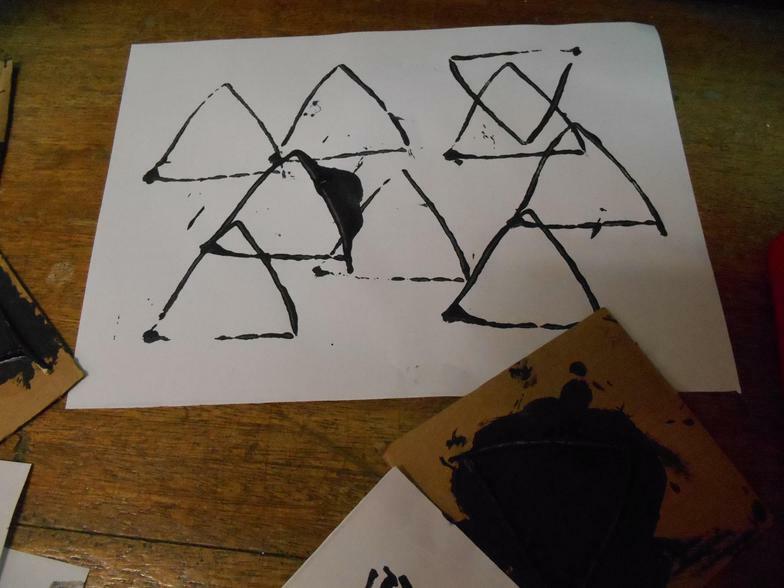 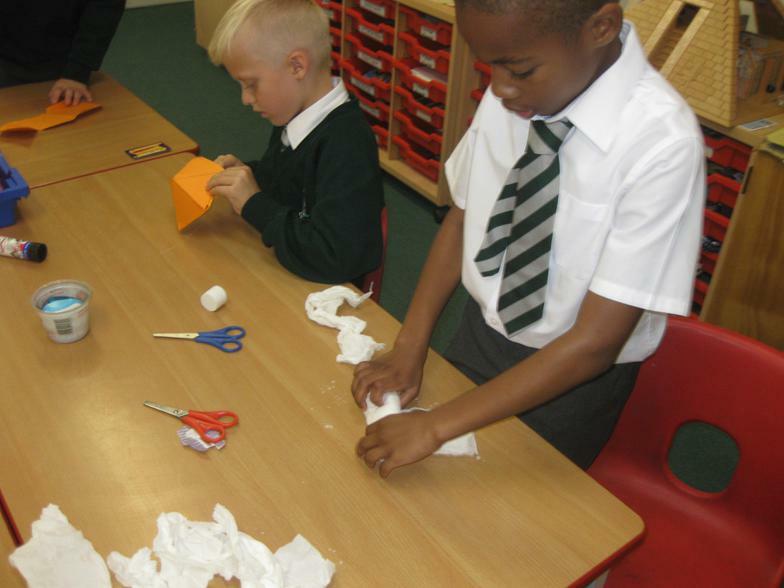 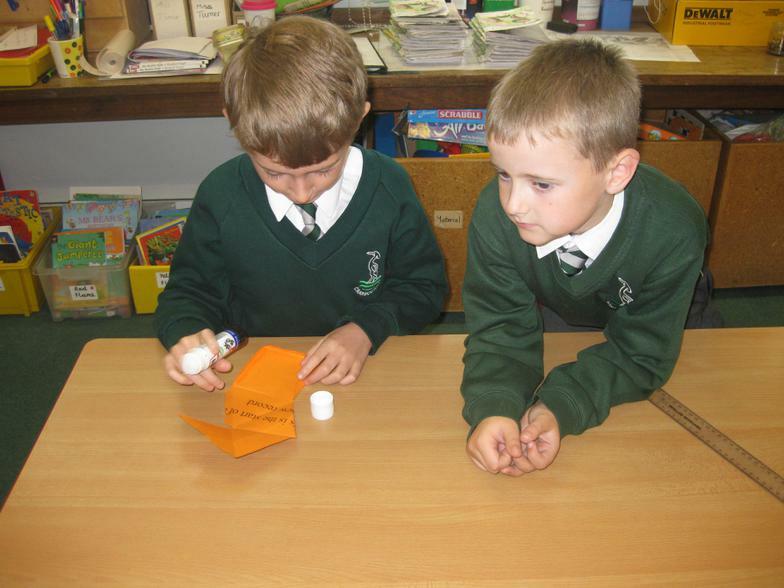 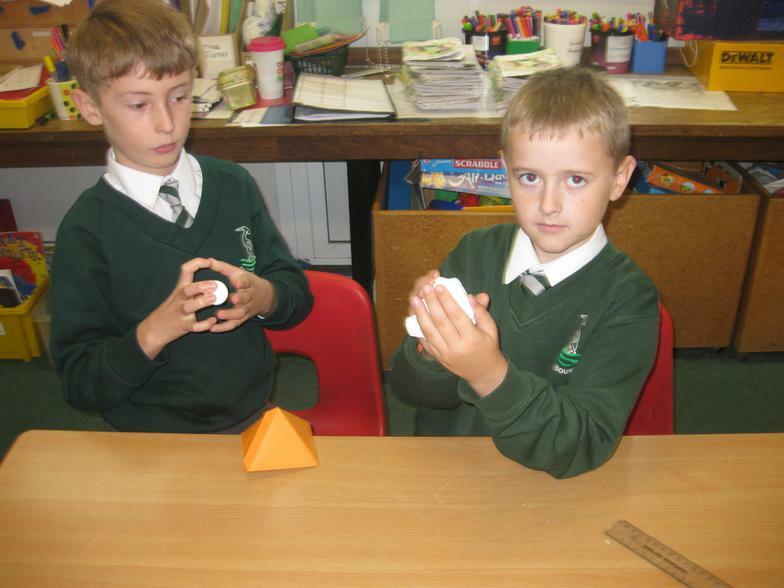 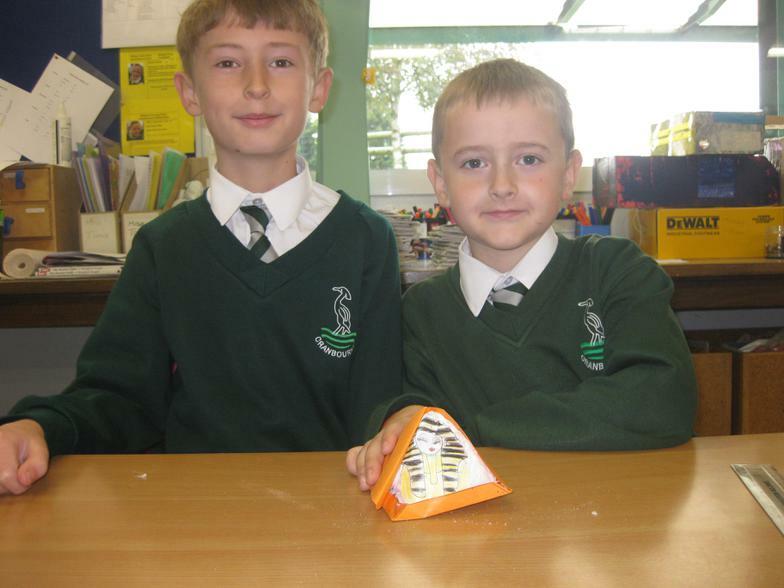 Here is a link to explain how to use the Egg Tangram that the children used on their Easter Card! 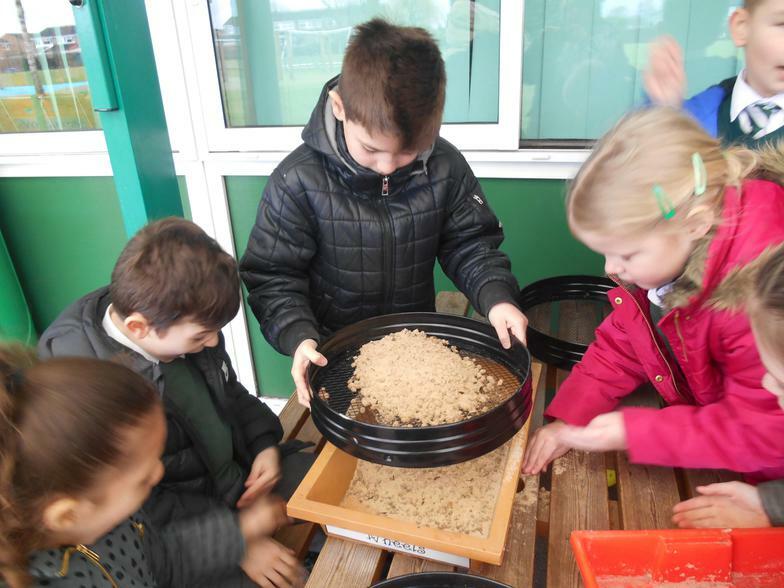 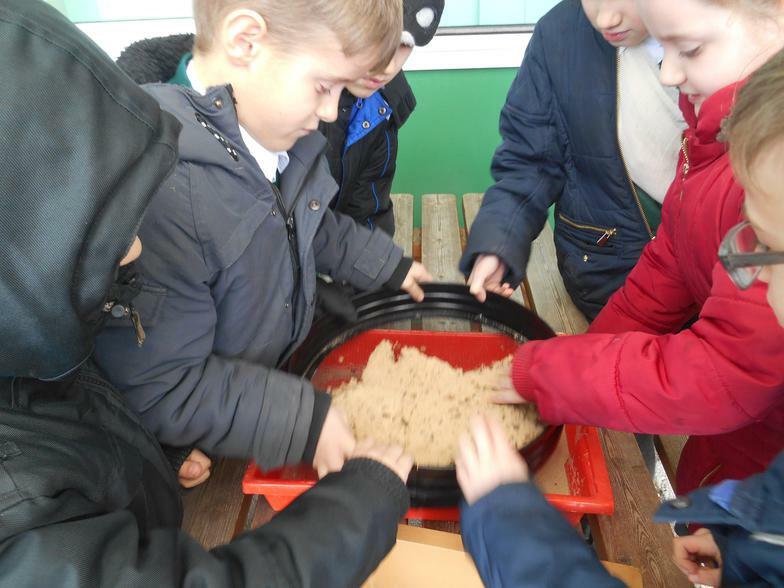 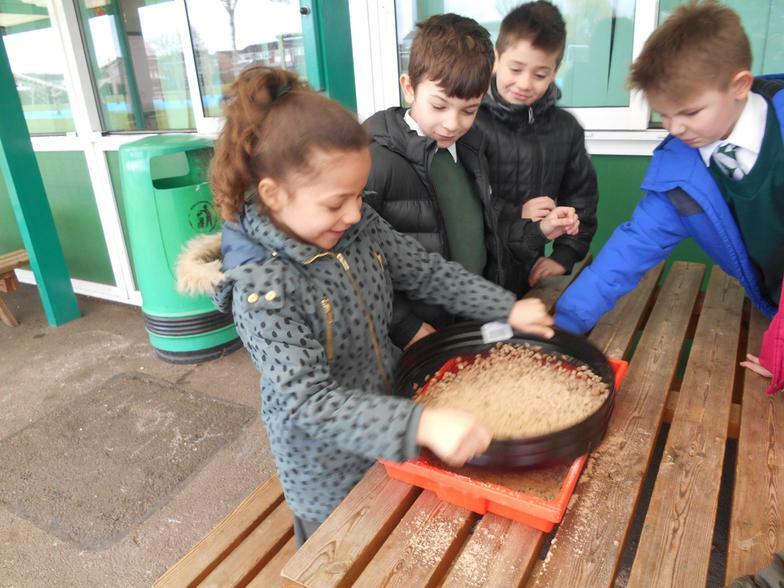 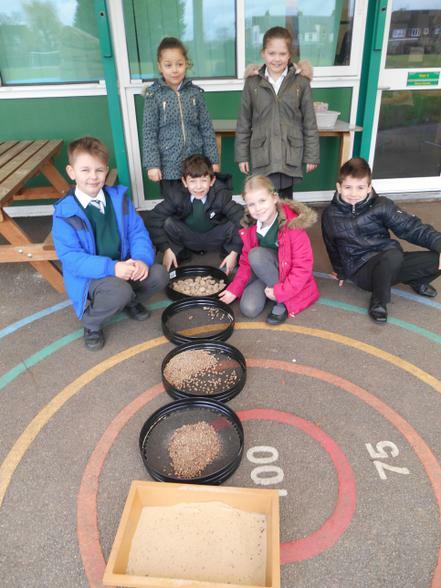 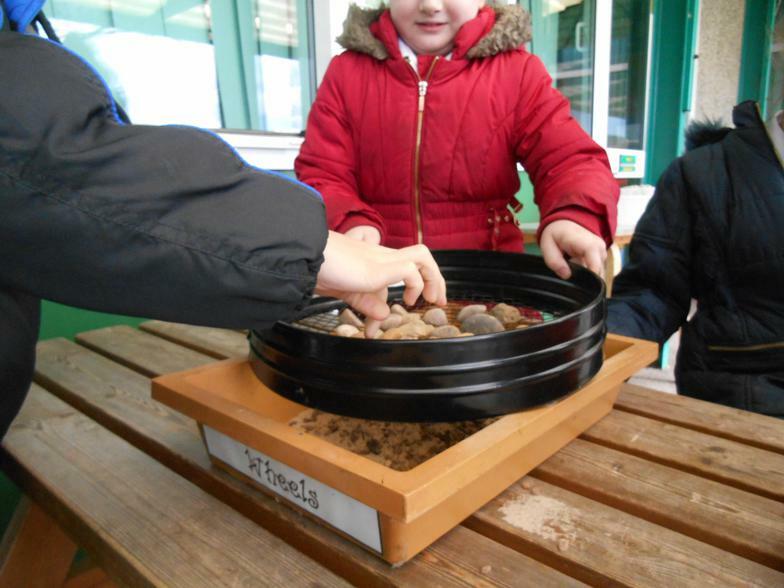 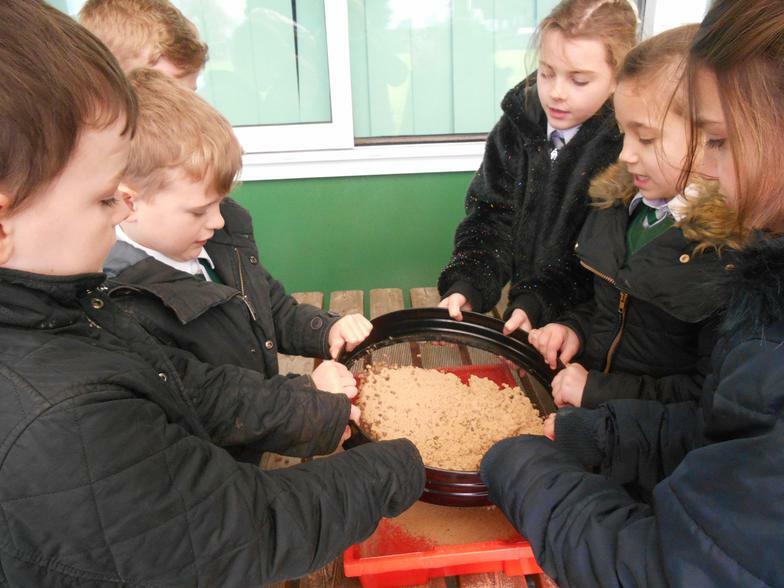 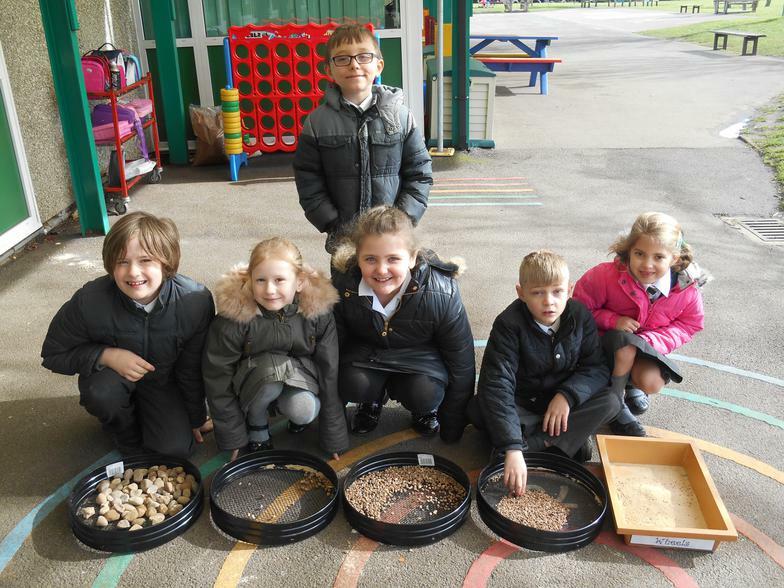 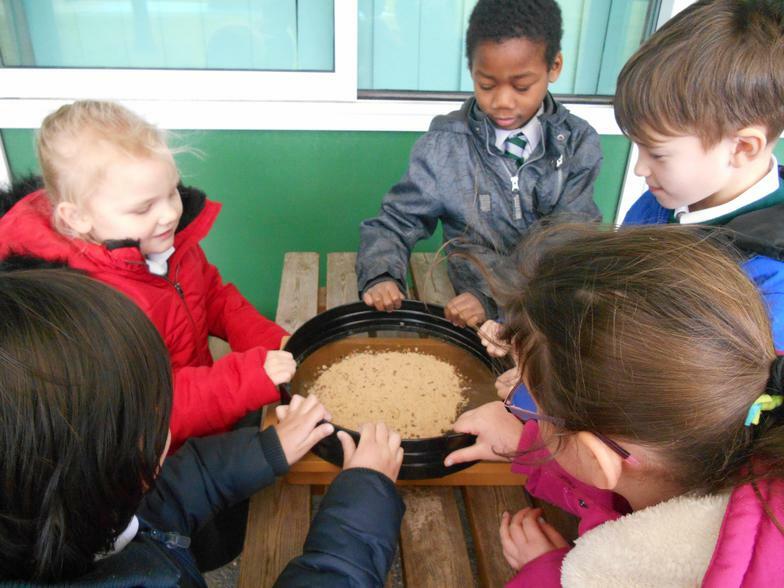 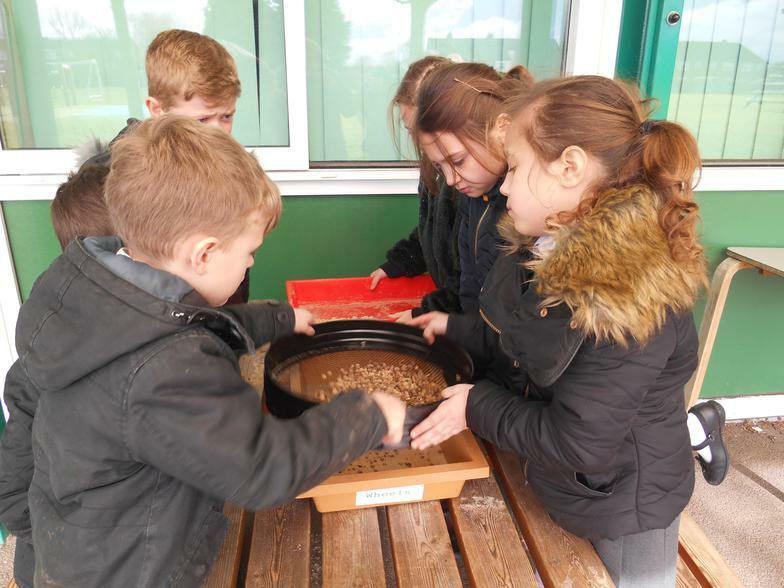 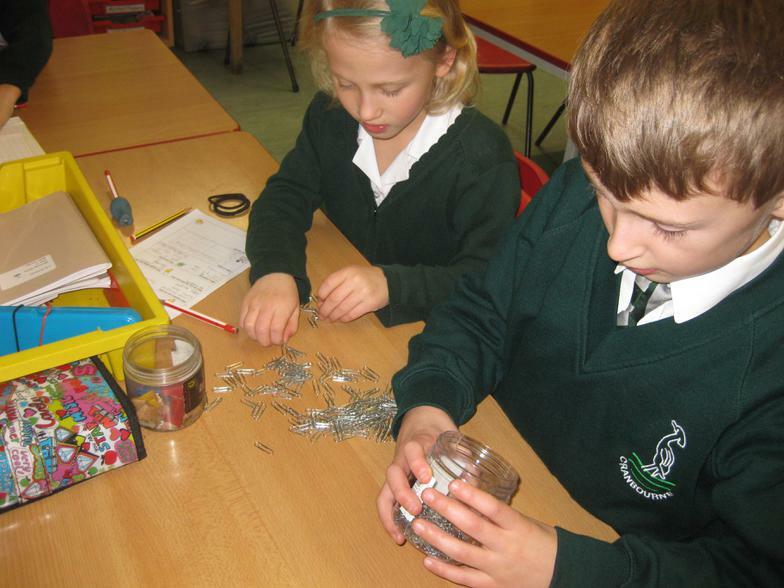 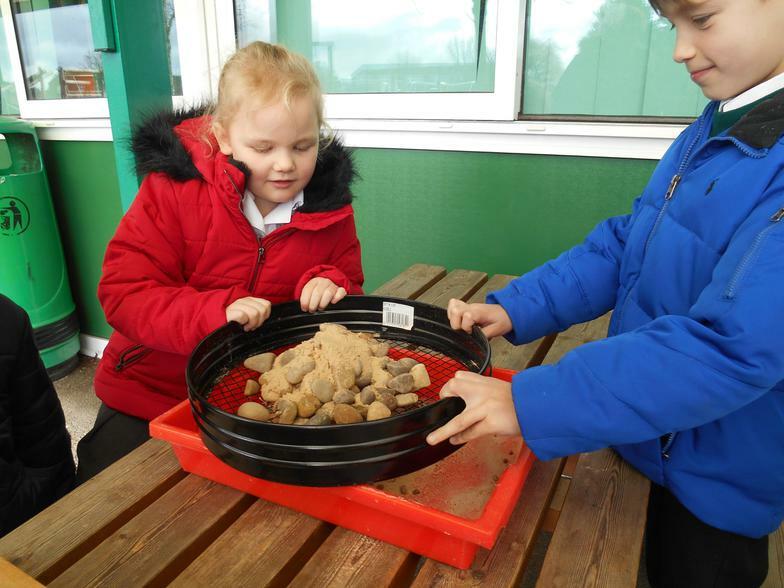 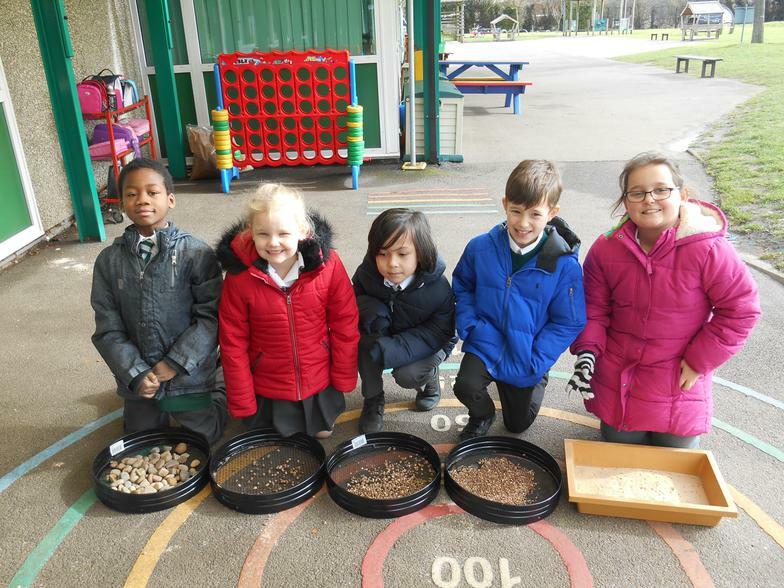 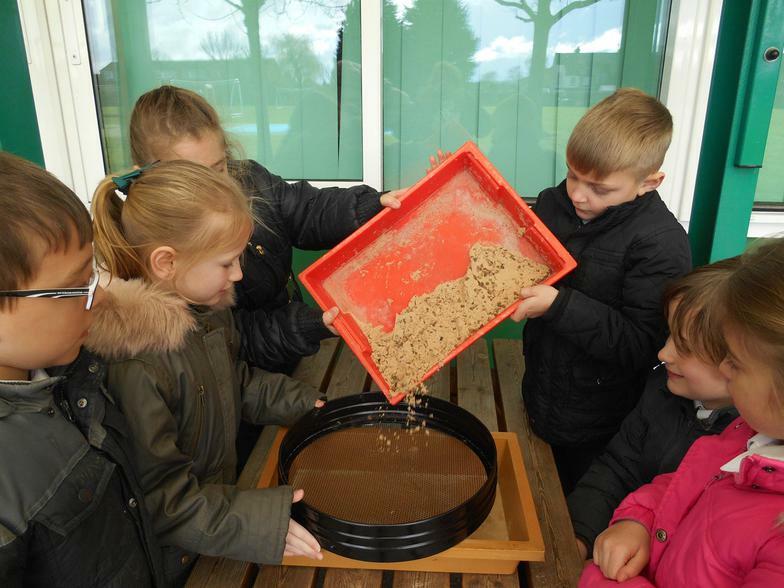 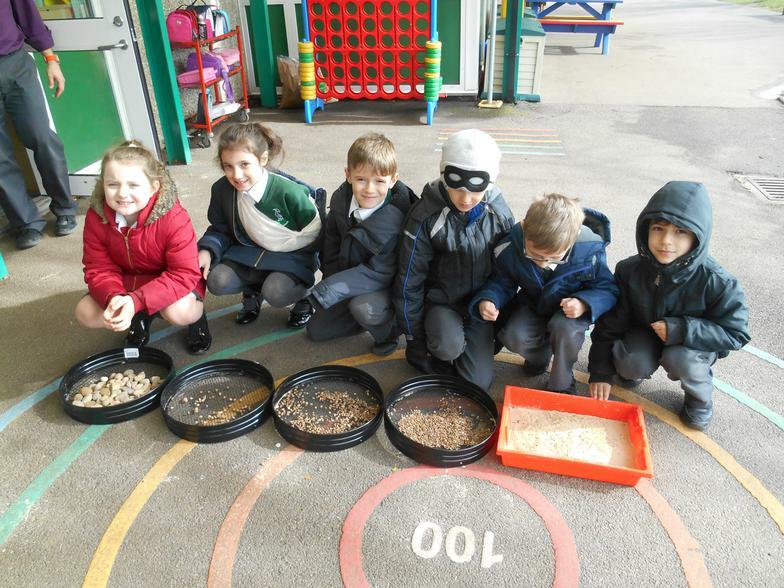 3KC used sieves to separate rocks, gravel and sand. 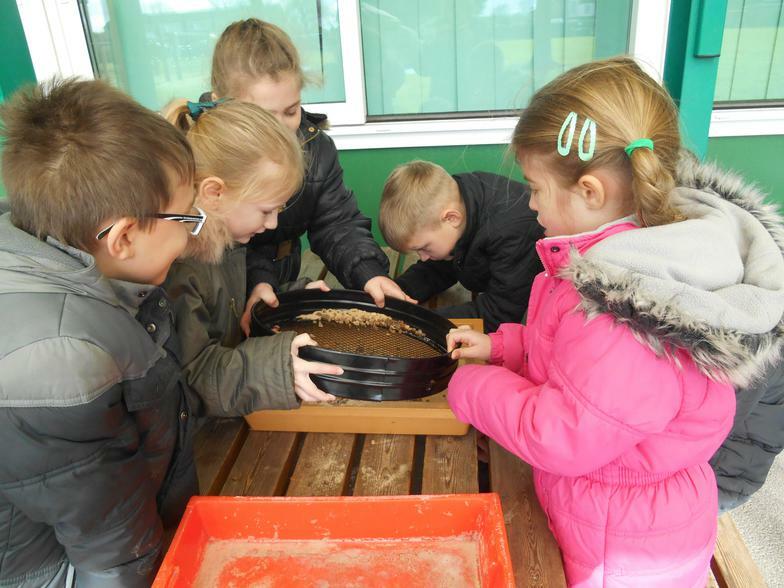 We learned so much and had lots of fun! 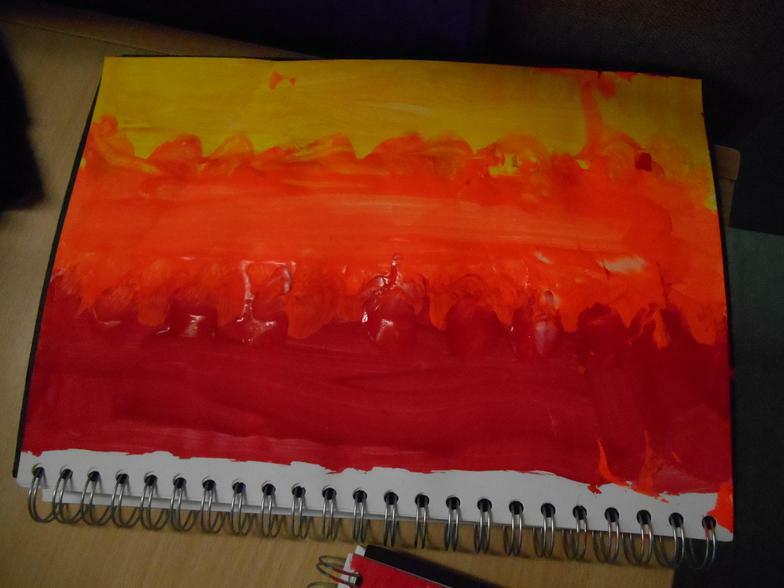 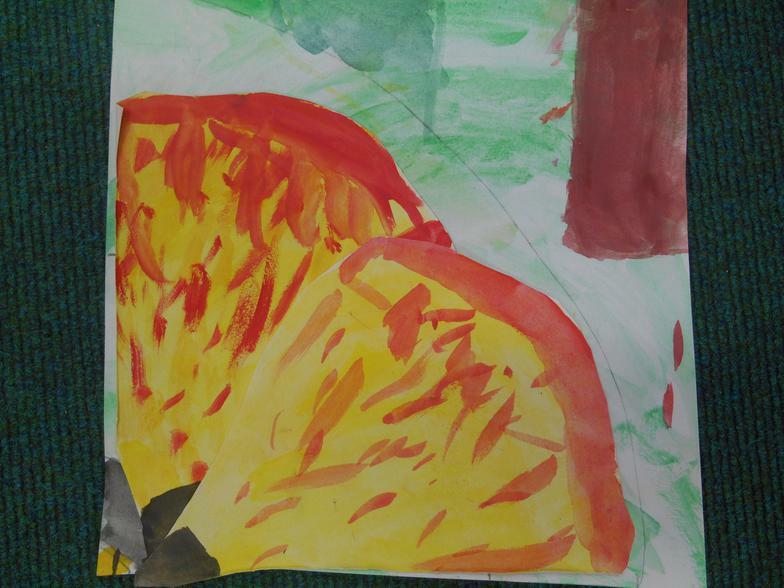 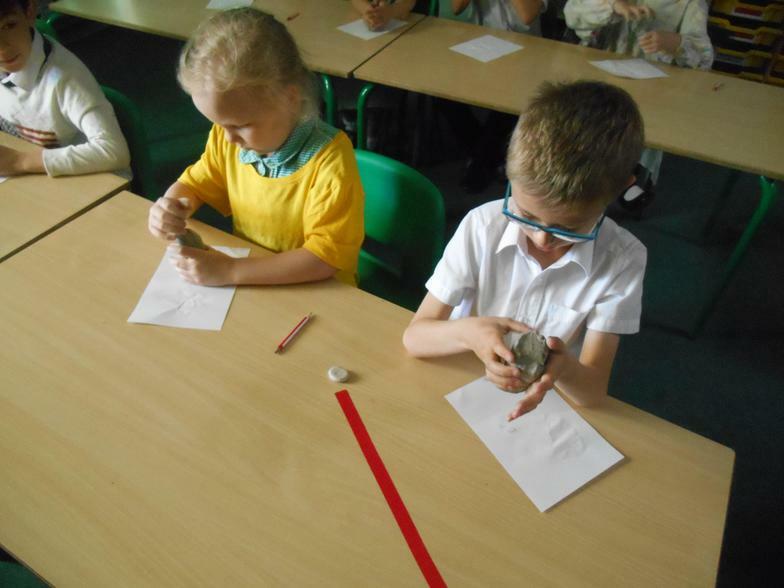 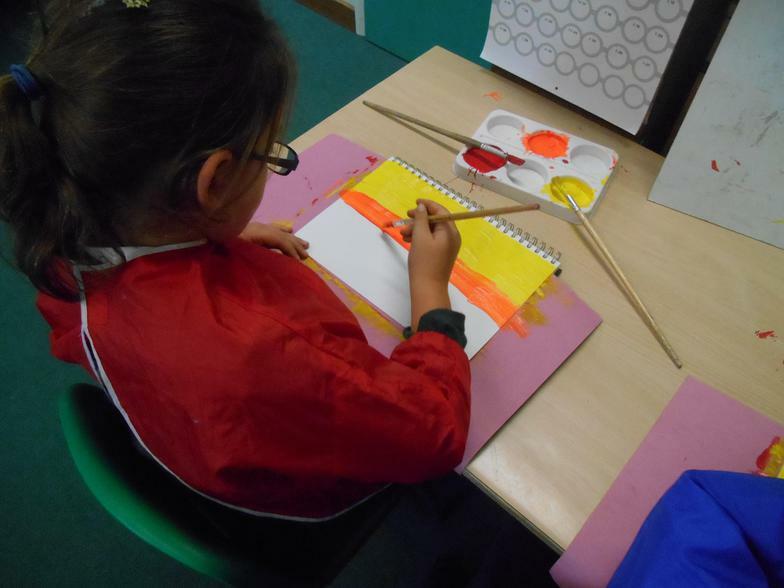 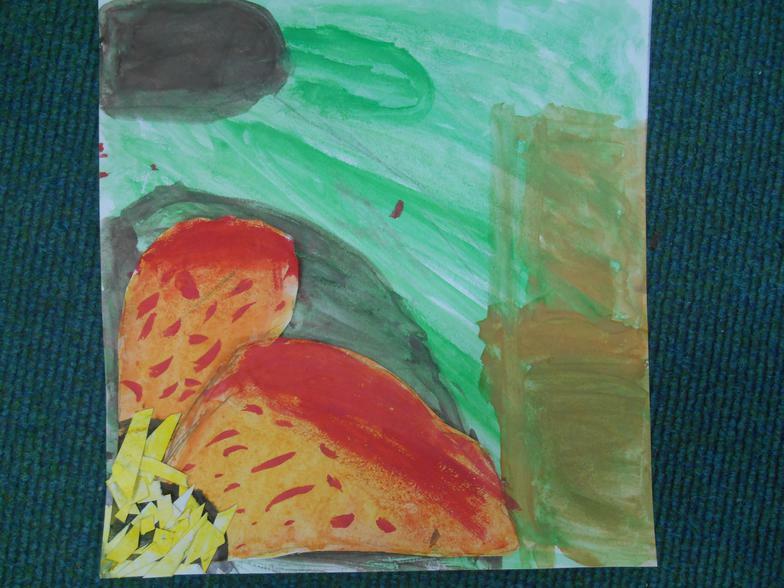 We've been learning about Volcanoes in Science. 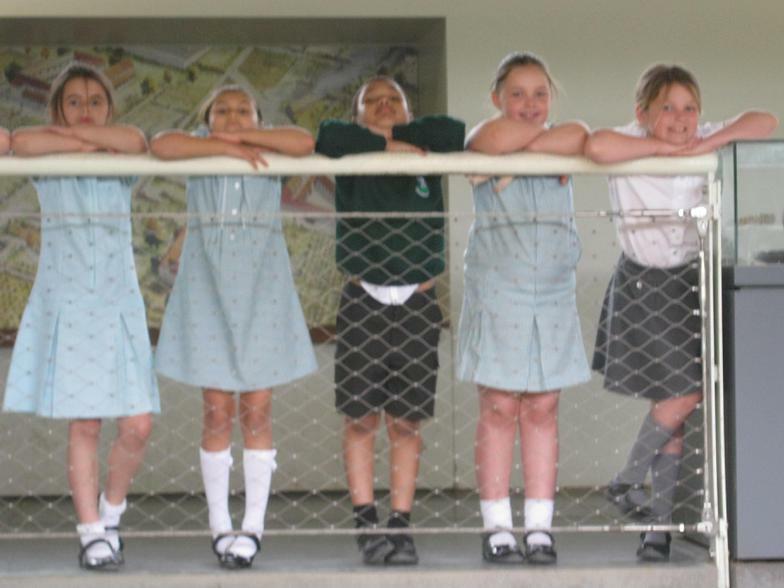 Here are some websites you might find useful! 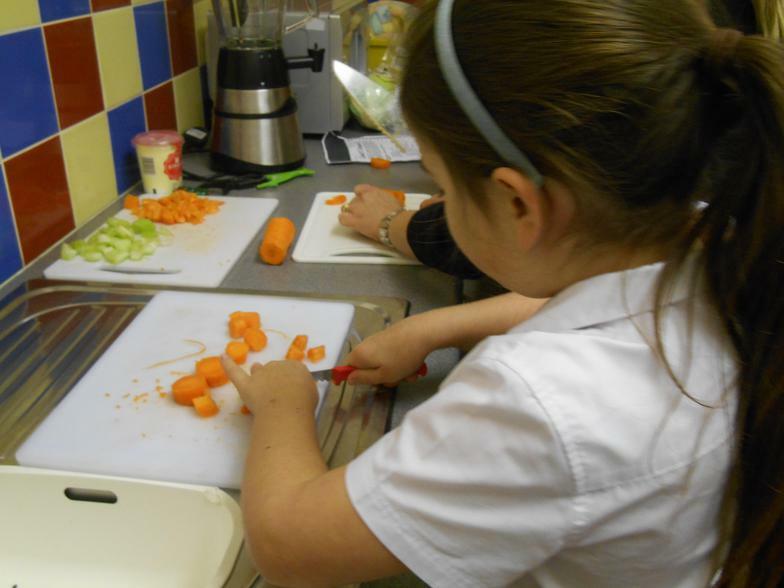 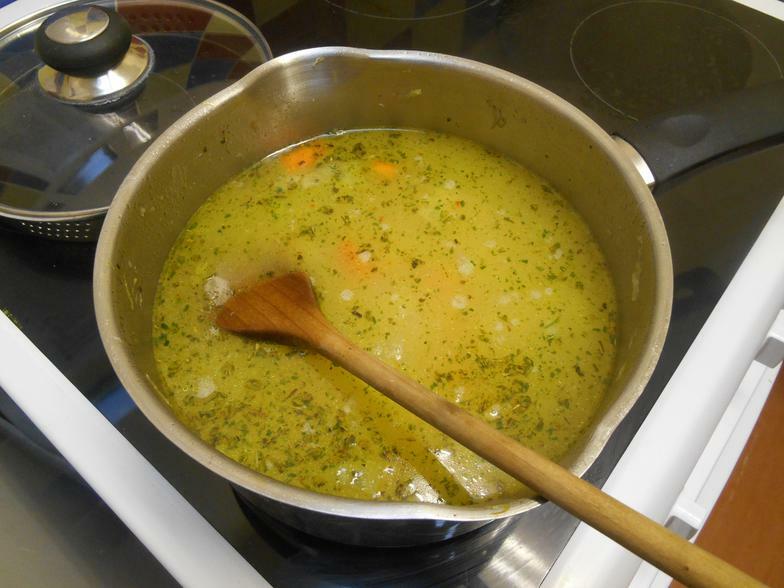 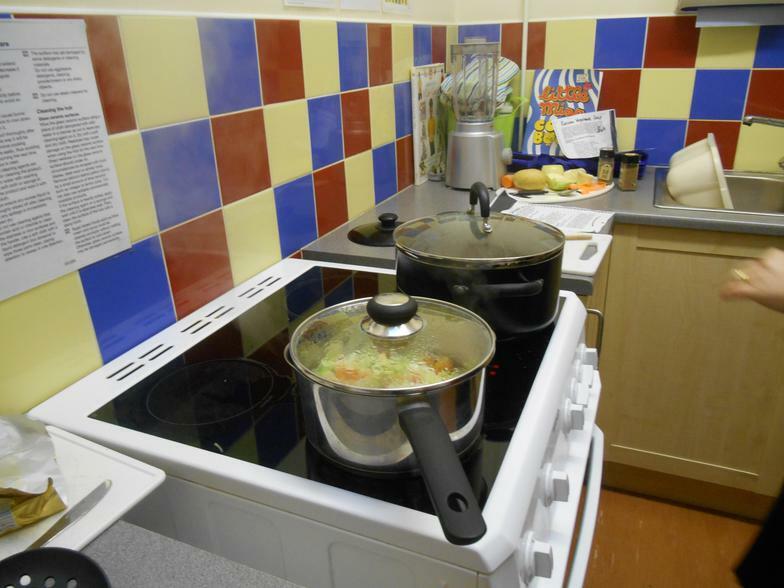 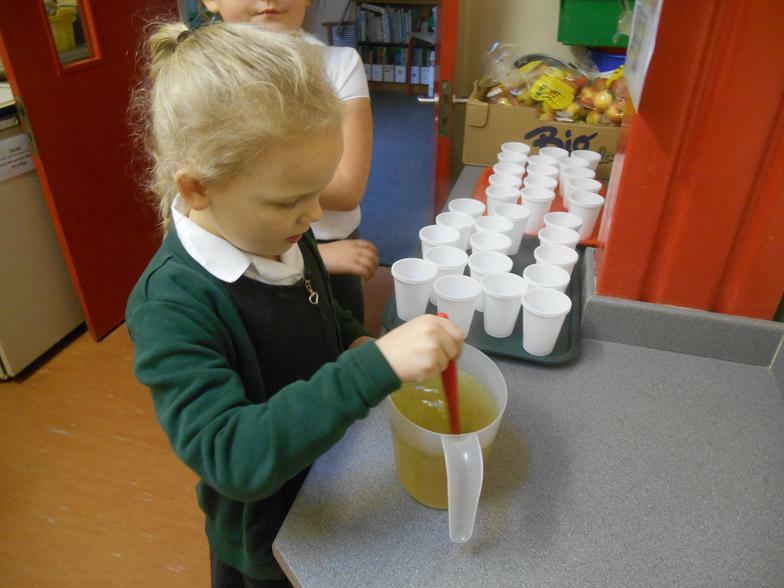 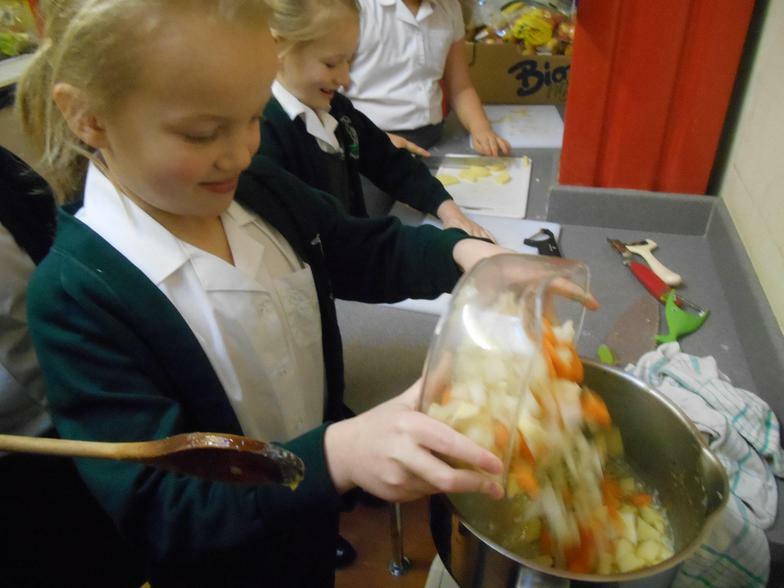 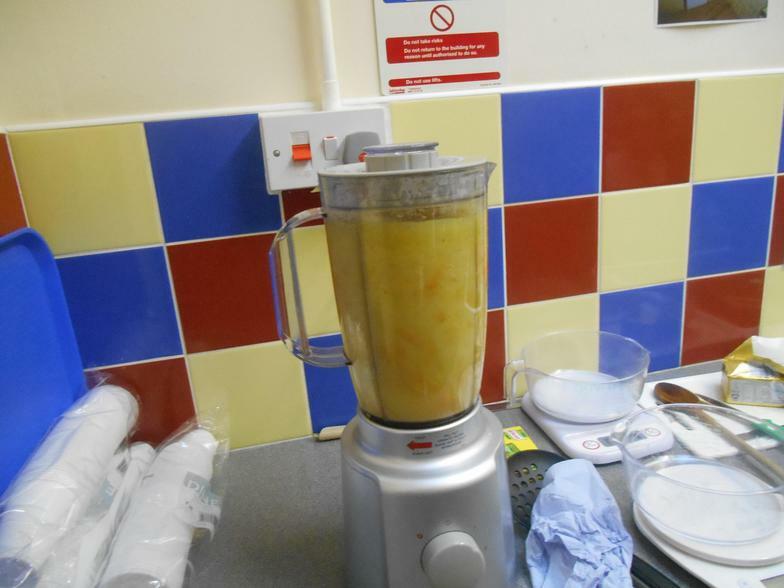 Year 3 had a SOUP-erb day making soup to launch our English Topic! 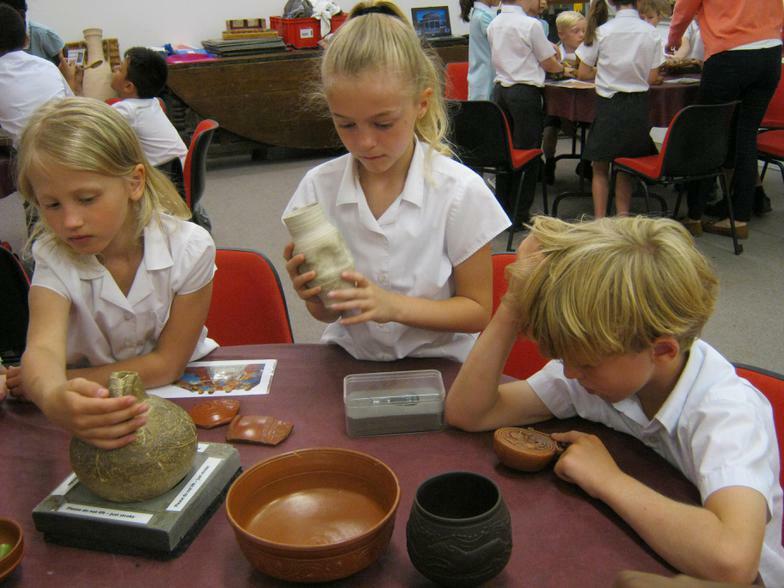 Explore the British Museum's Egyptian Collection! 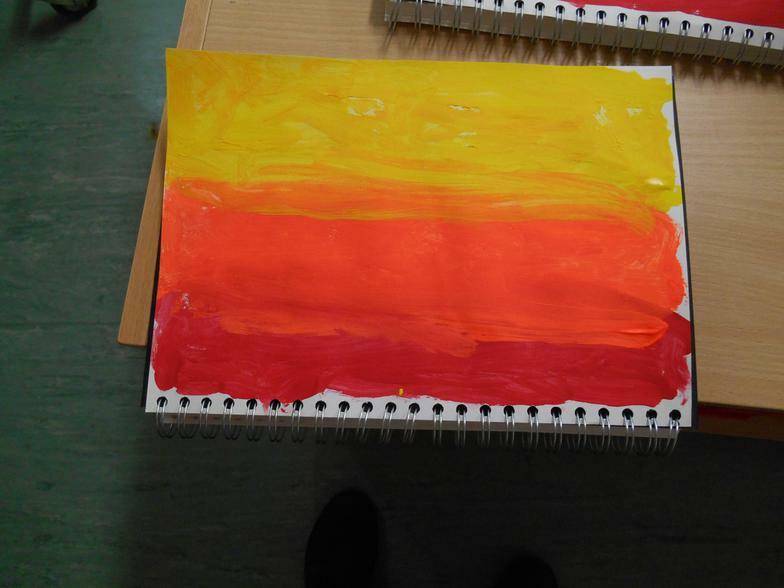 Click on the colourful icons on the left of the page when it is open. 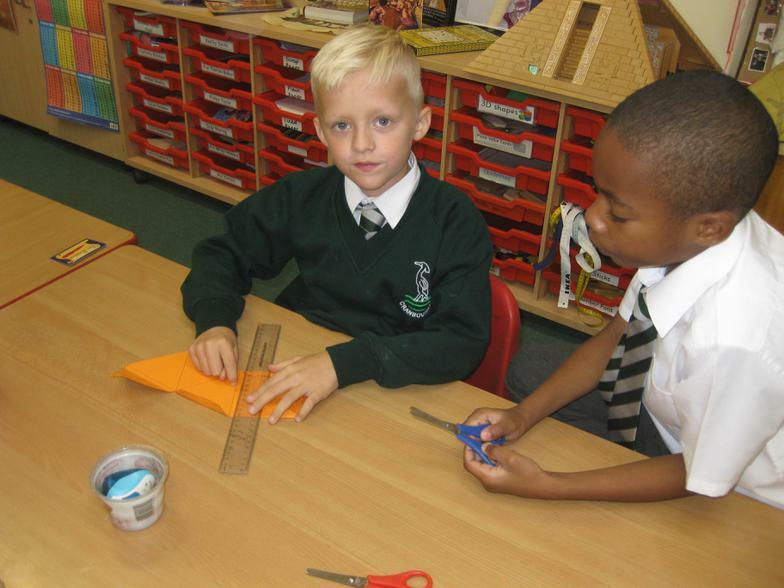 What interesting facts can you find? 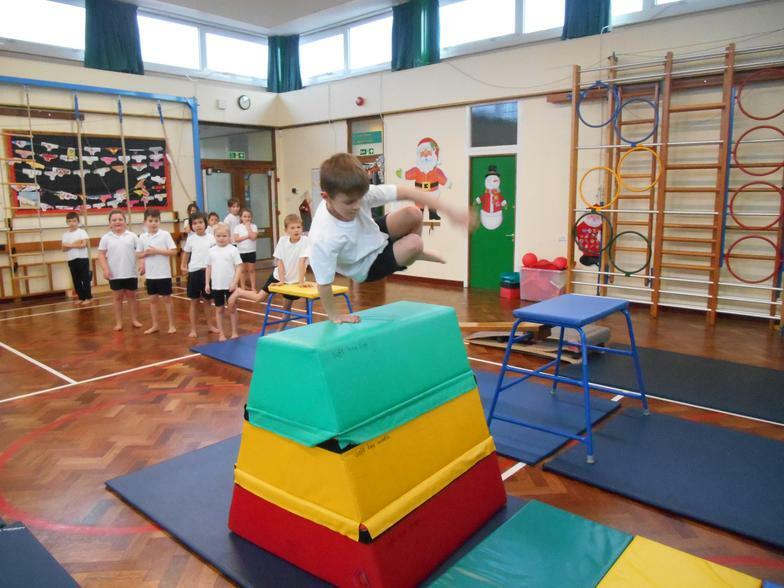 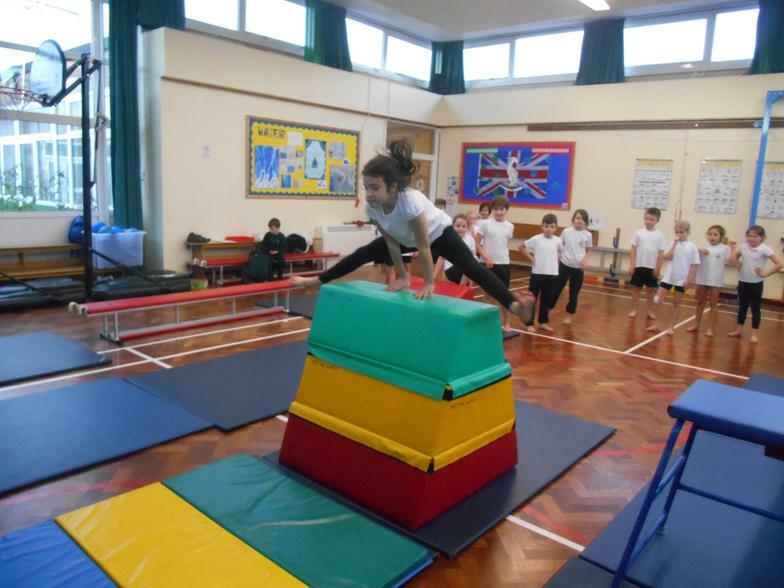 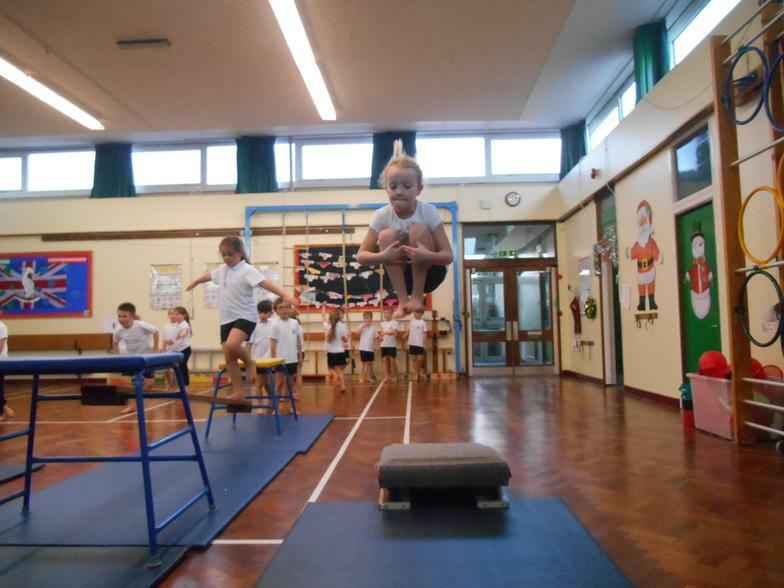 3KC loved using the springboard and vault boxes in gymnastics this week. 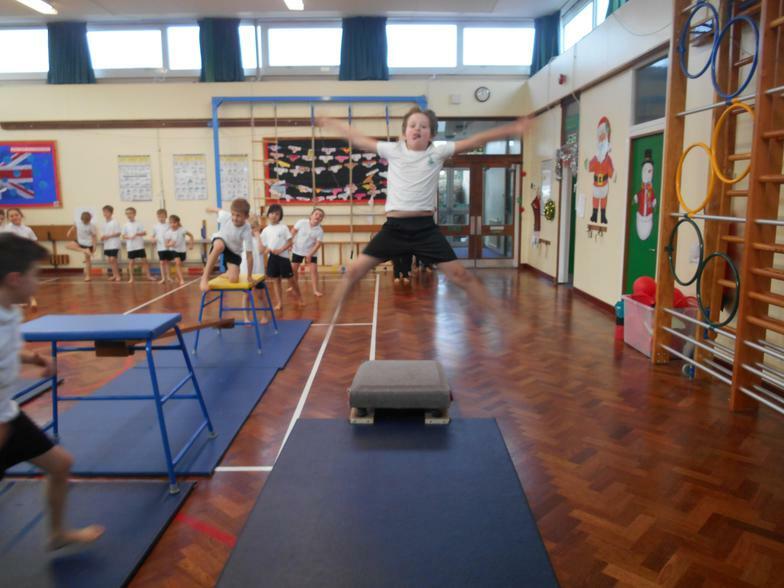 Look at the amazing height and shapes of their vaults! 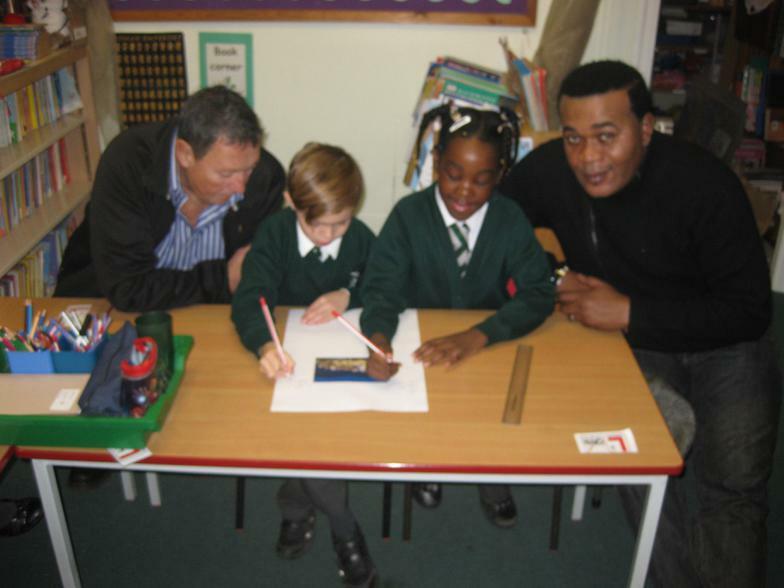 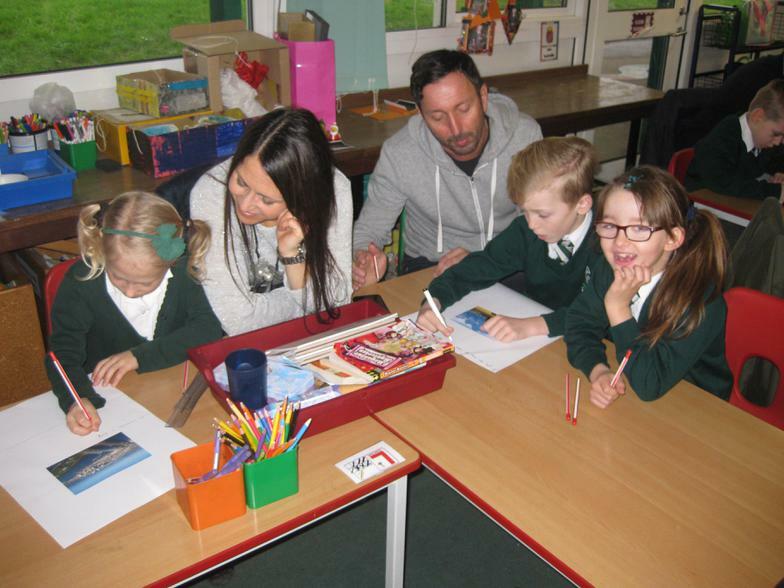 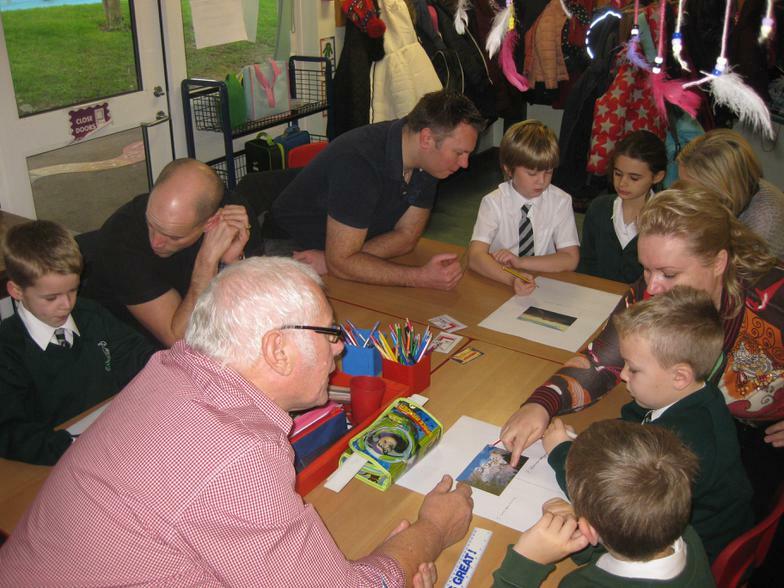 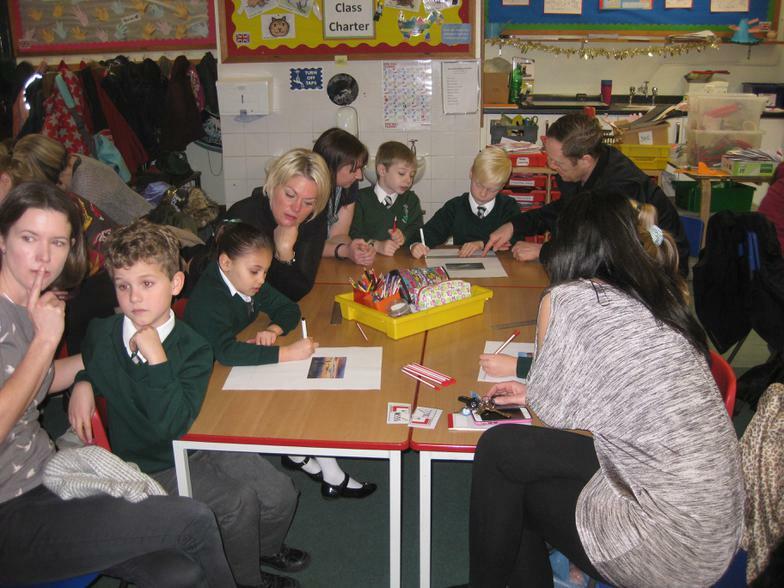 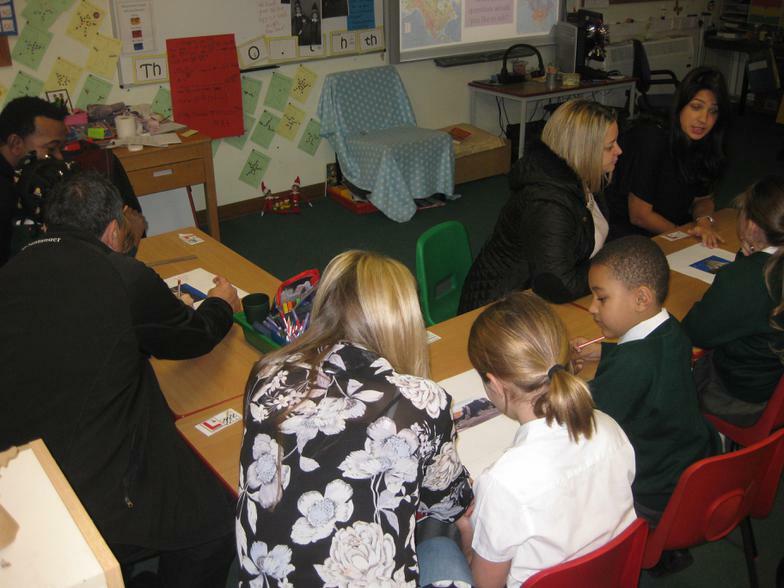 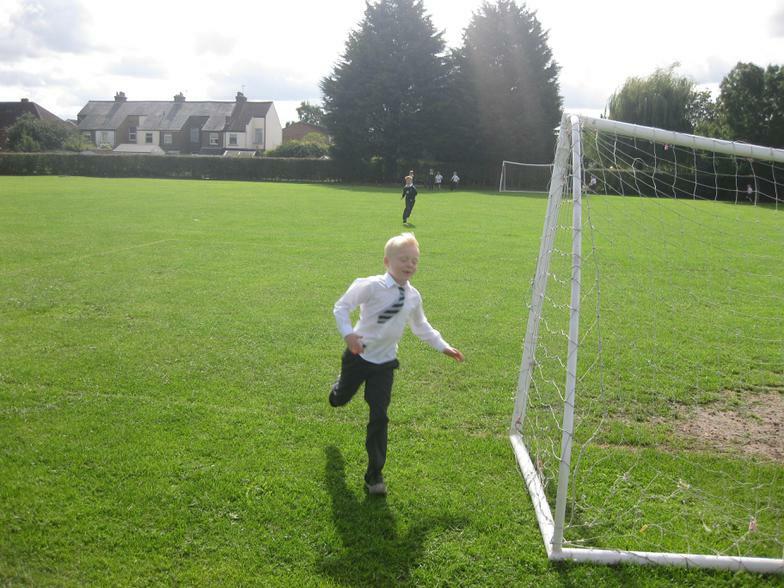 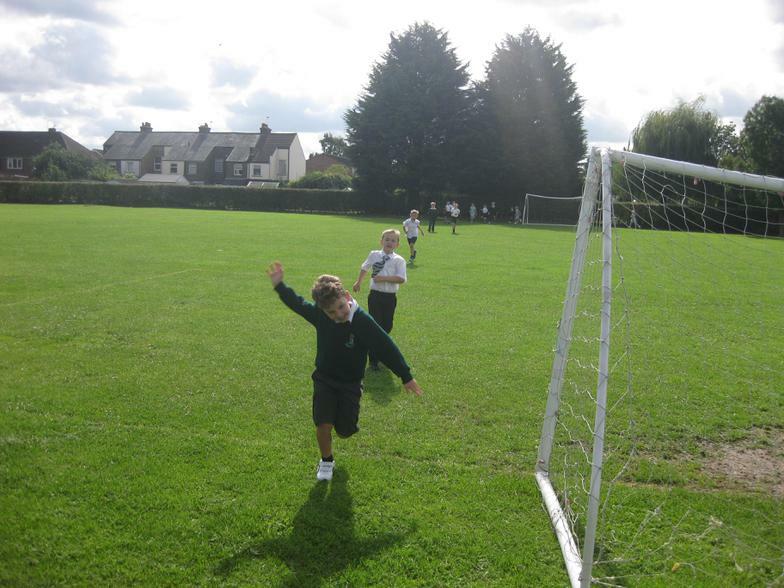 3NT had fun learning with their parents! 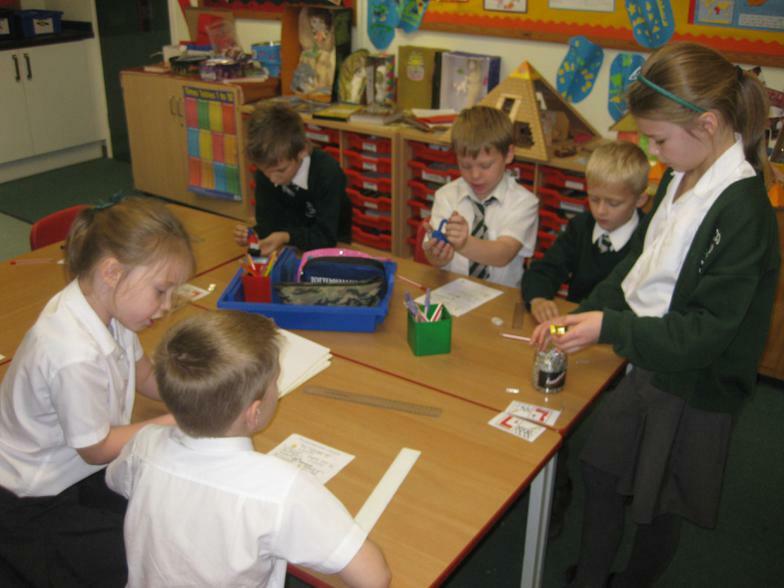 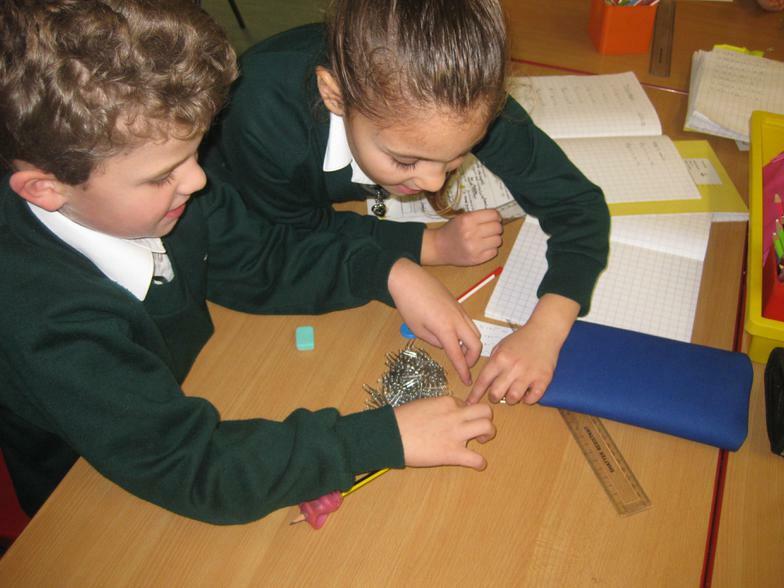 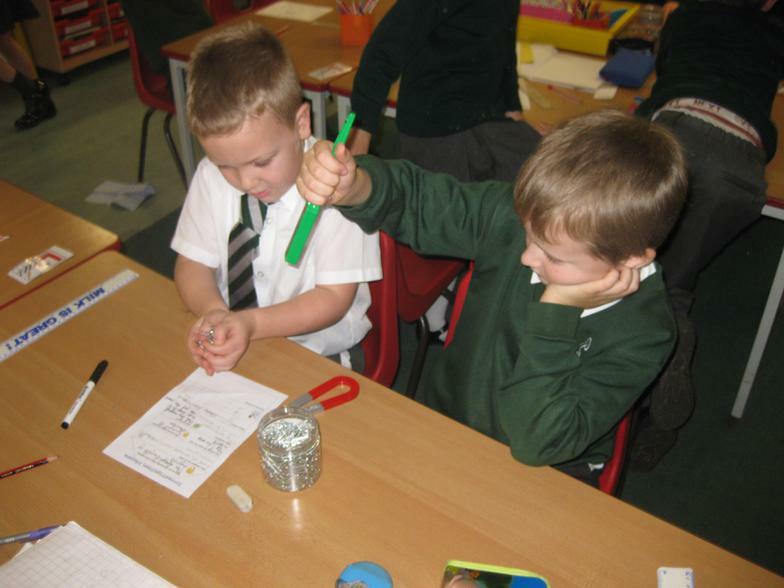 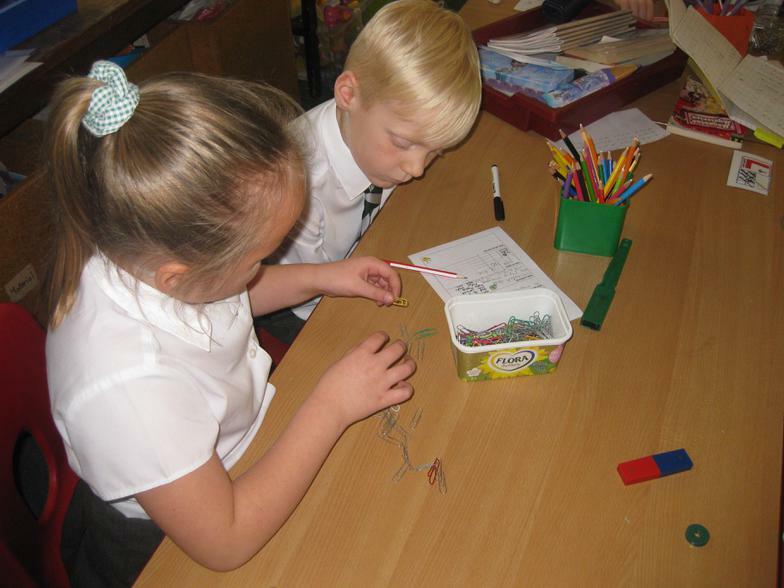 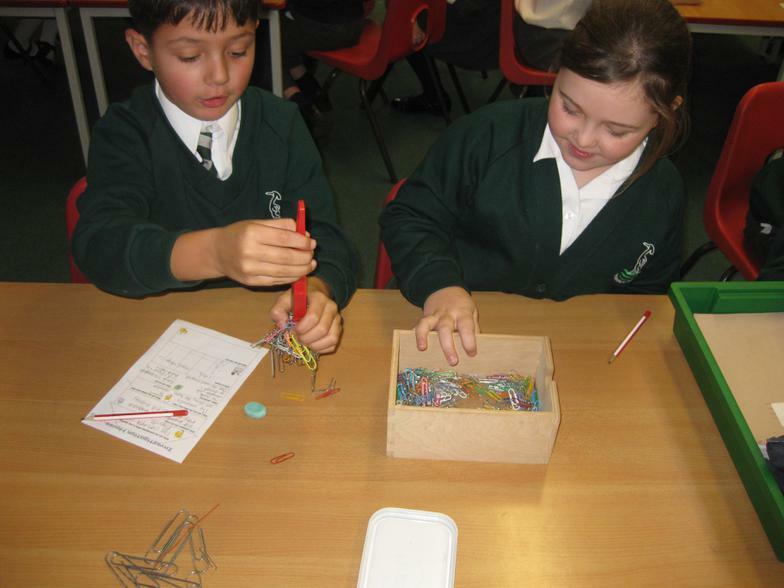 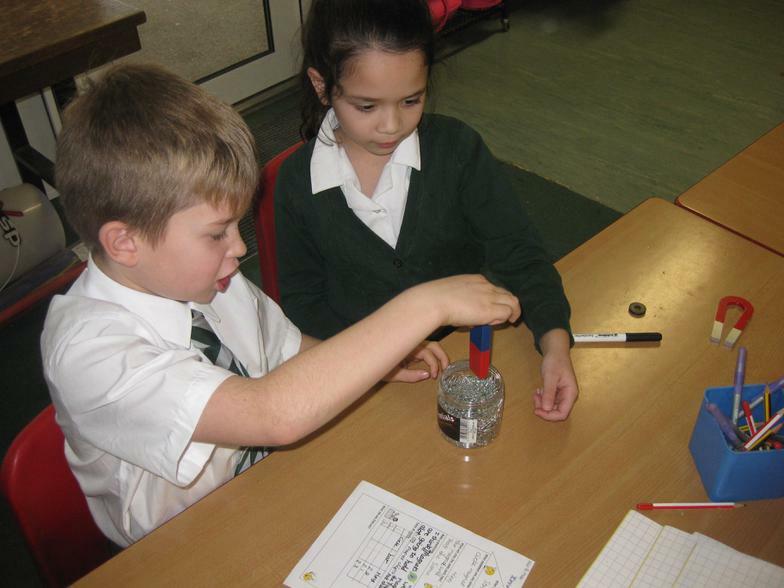 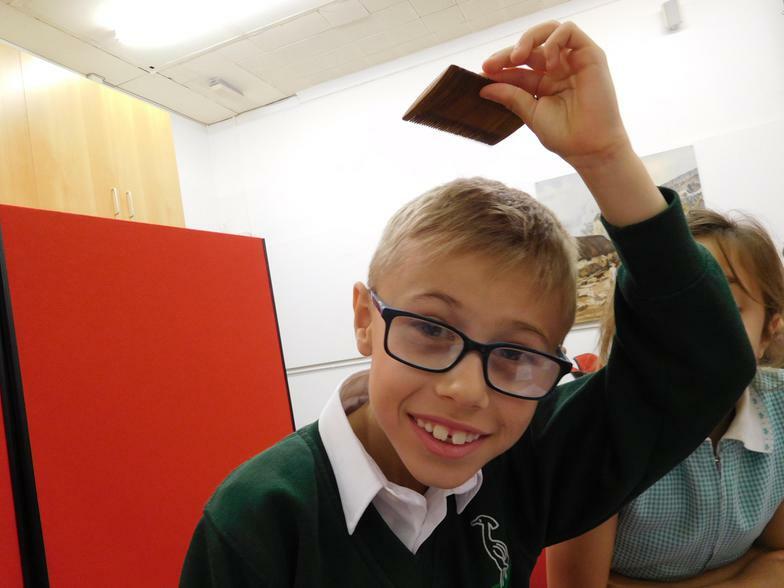 Testing the strength of magnets in 3NT! 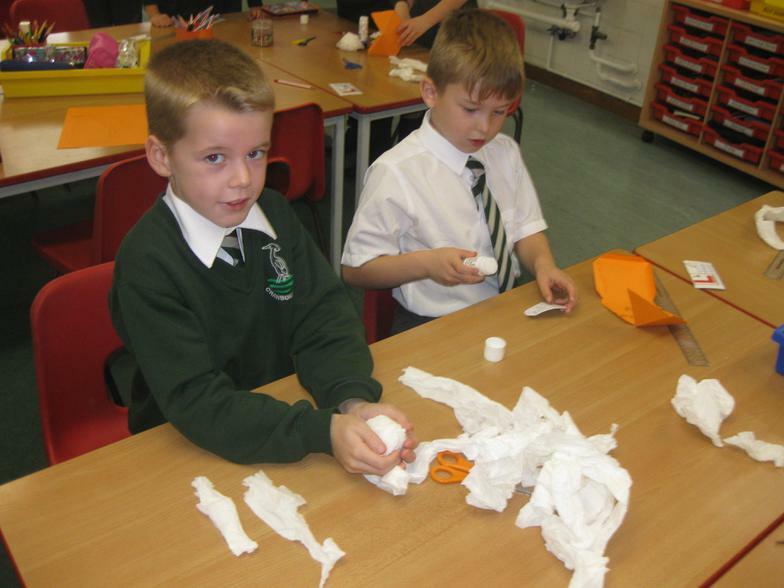 Mummifying our tomatoes. 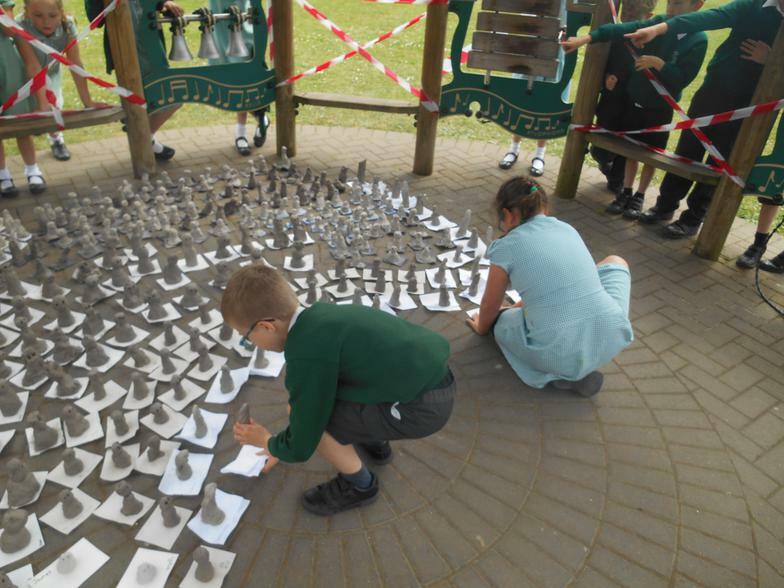 Maths, History and Science all rolled into one! 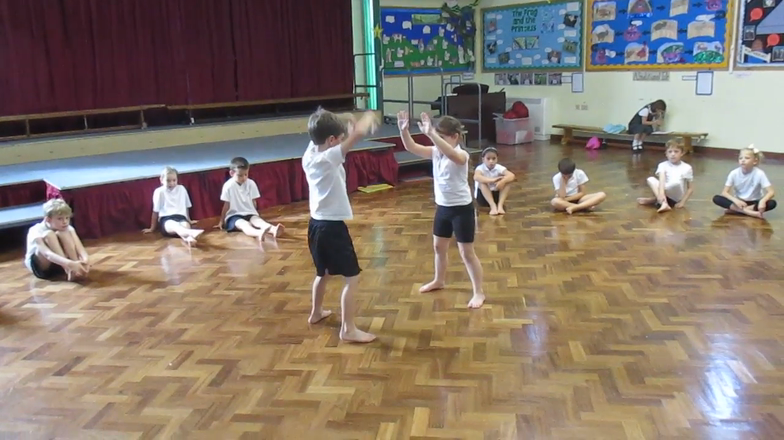 3JH have been putting together a three sequence Egyptian dance. 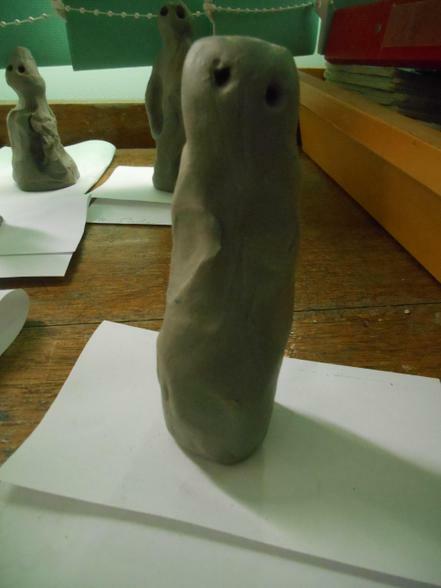 This mummy even has Canopic Jars! 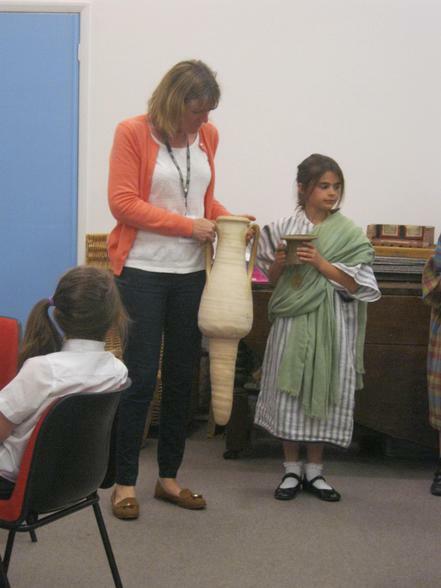 This mummy has lots of things for the after life. 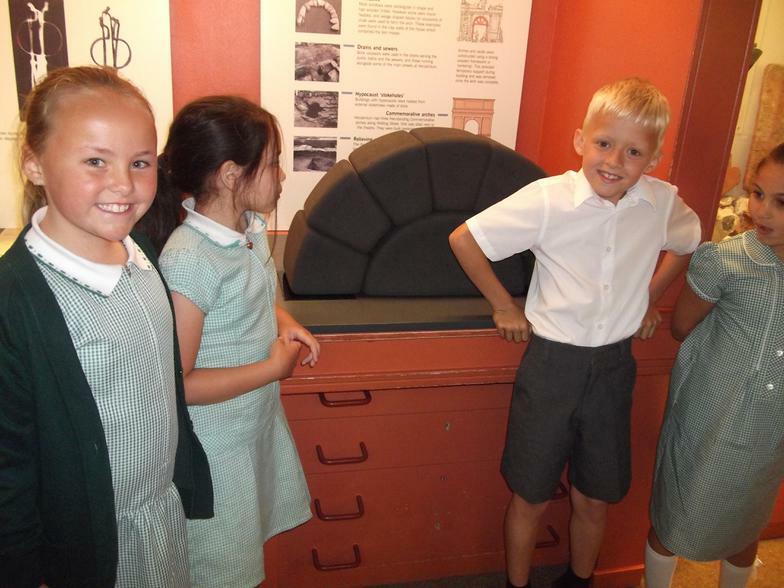 Amazing detail on this Sarcophagus. 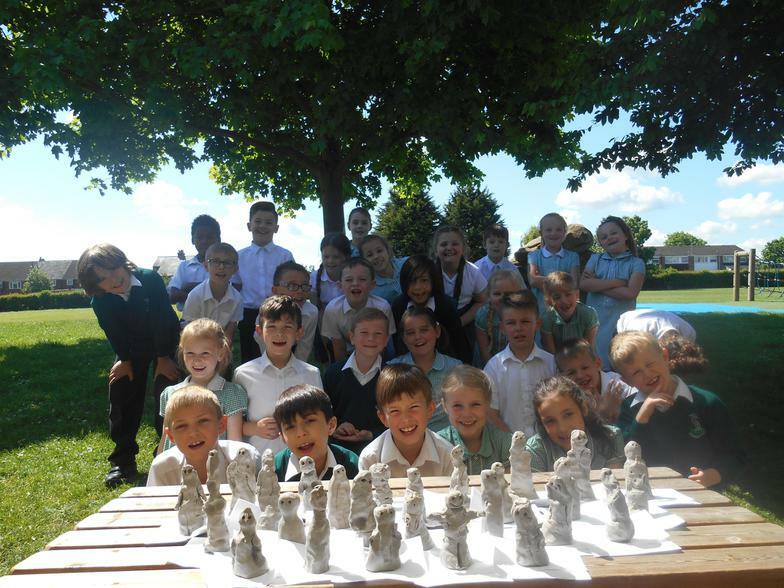 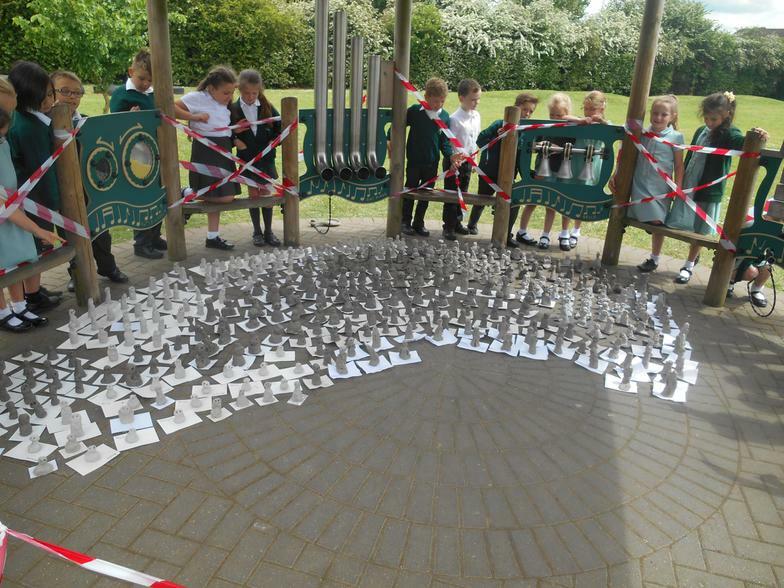 Lots of imagination went into these! 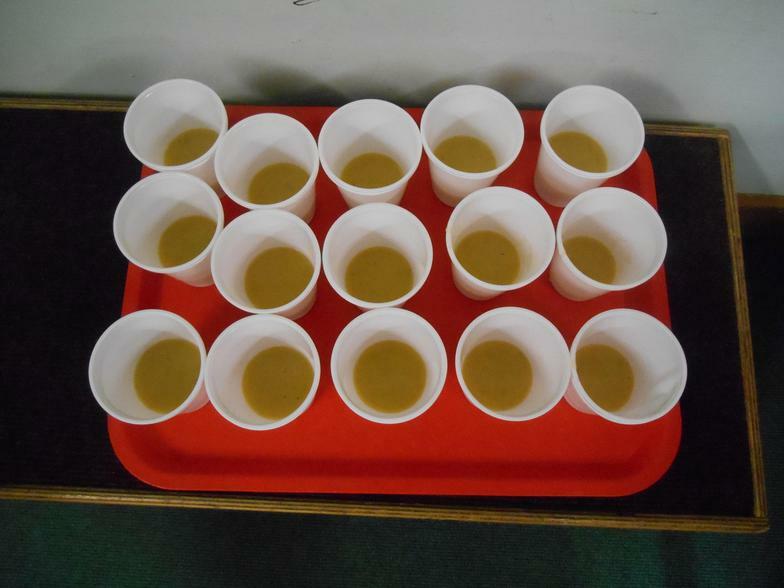 What would YOU want with you for the after life?